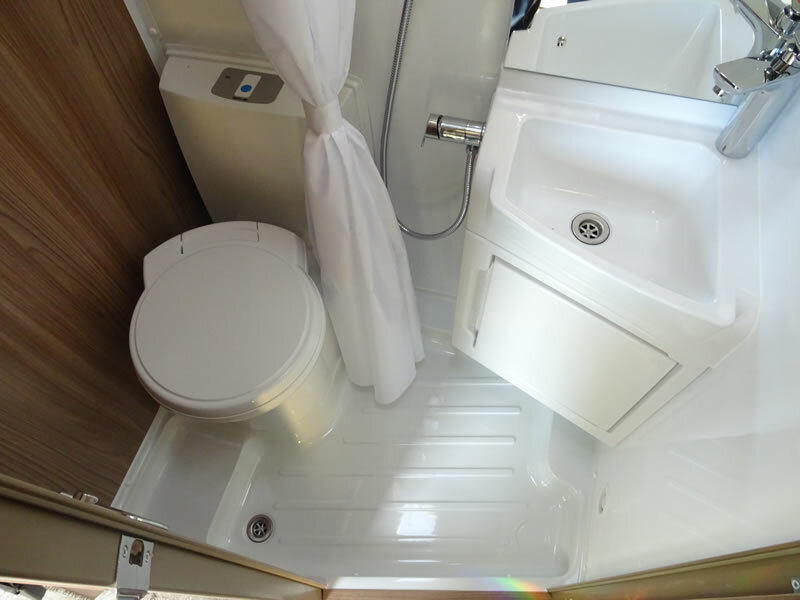 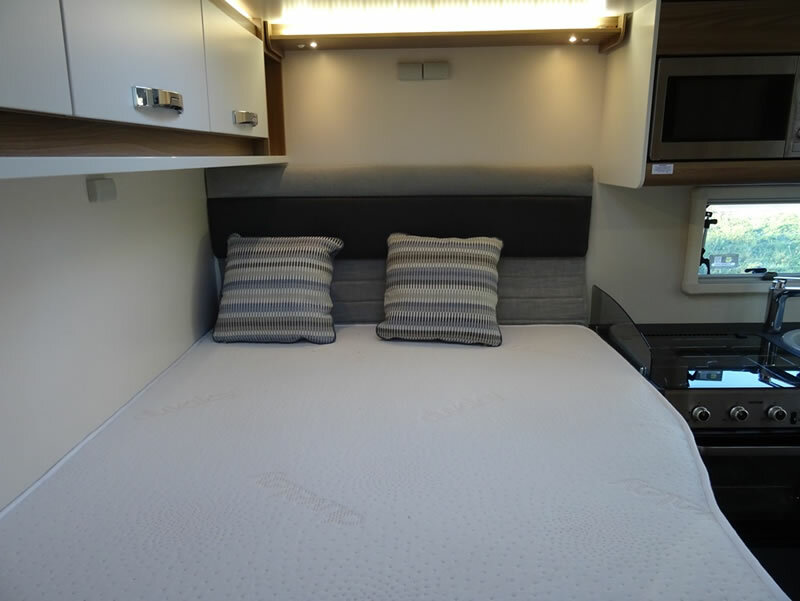 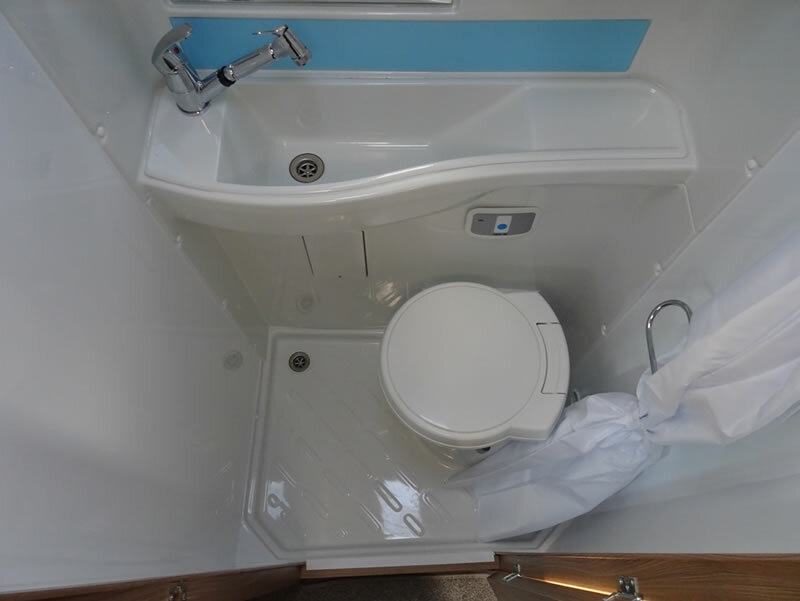 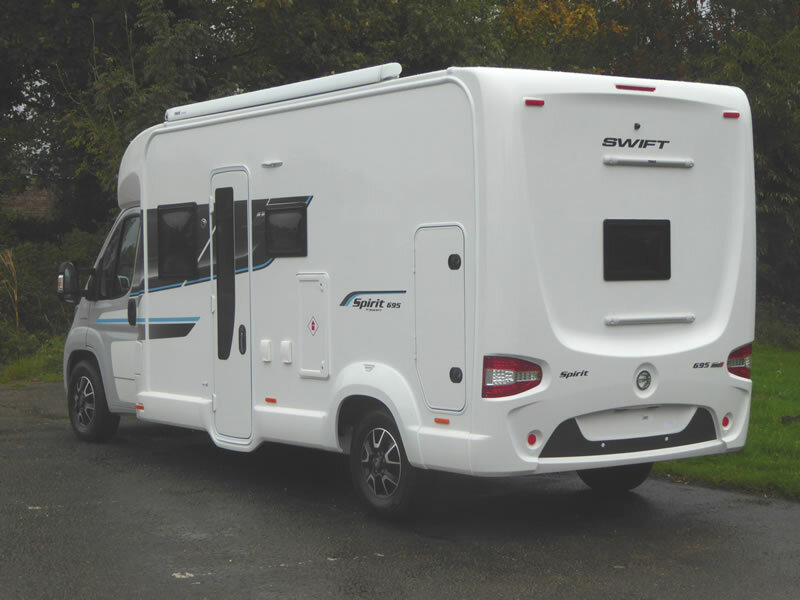 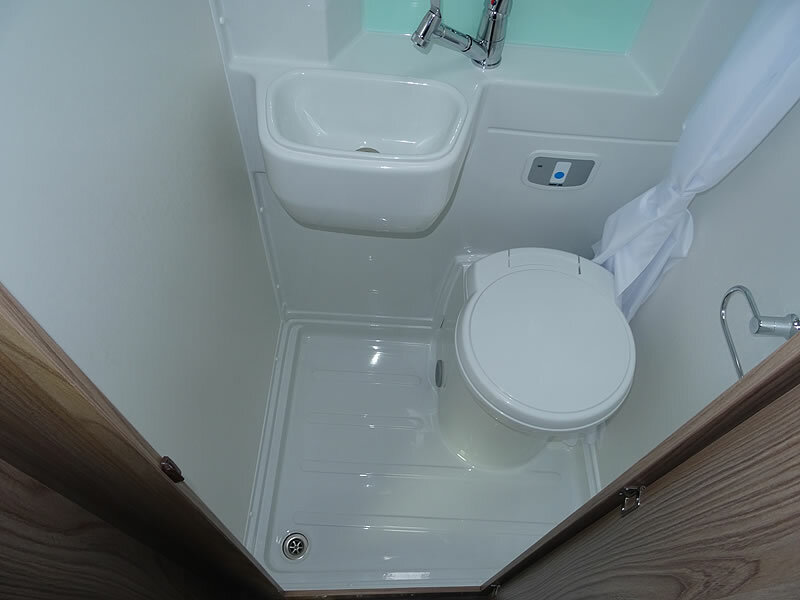 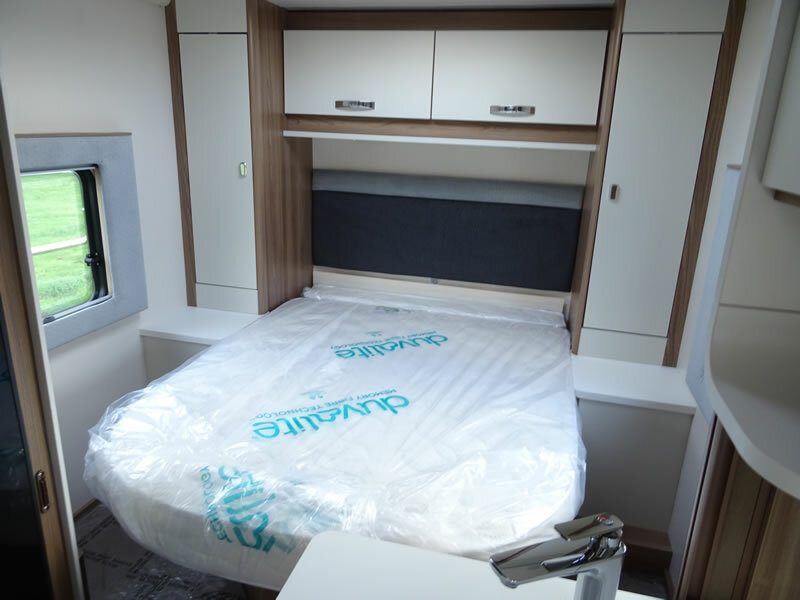 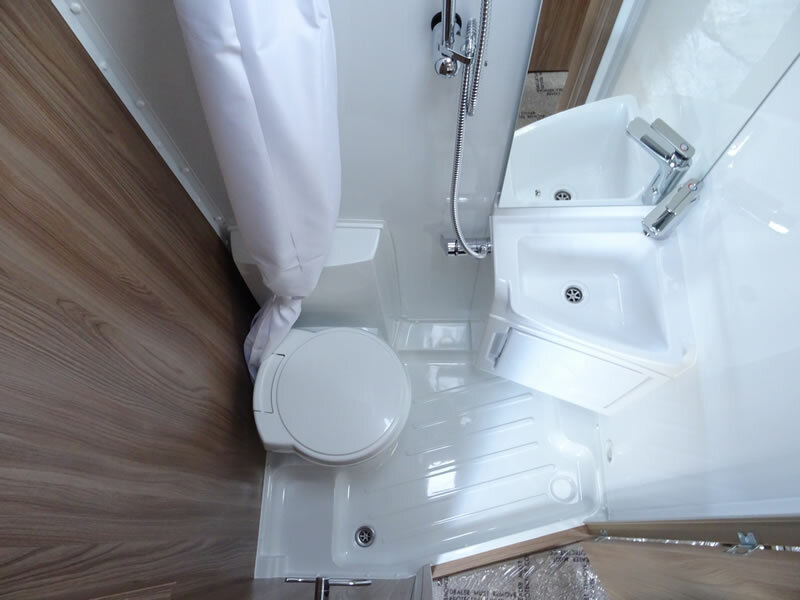 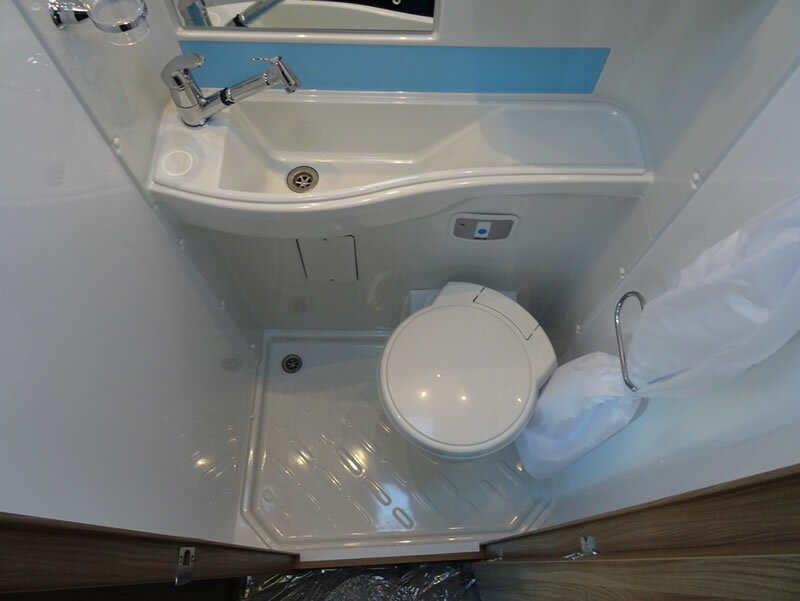 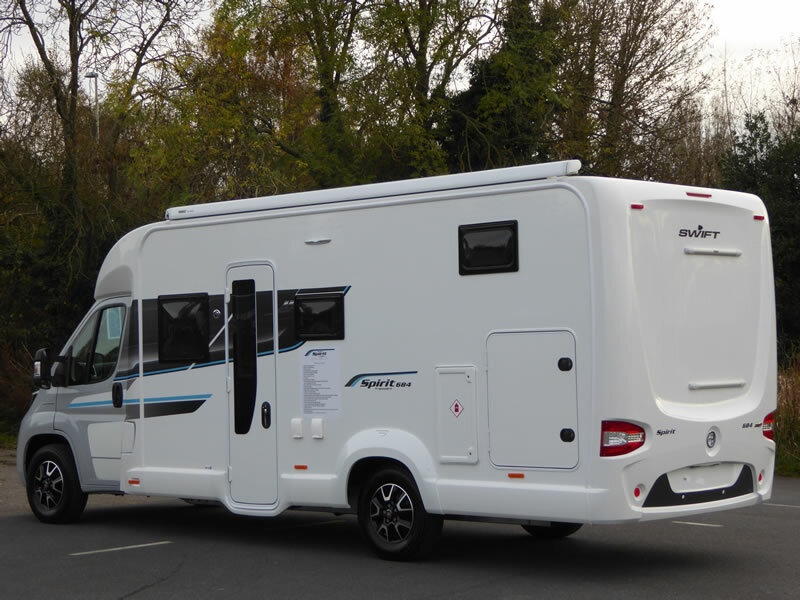 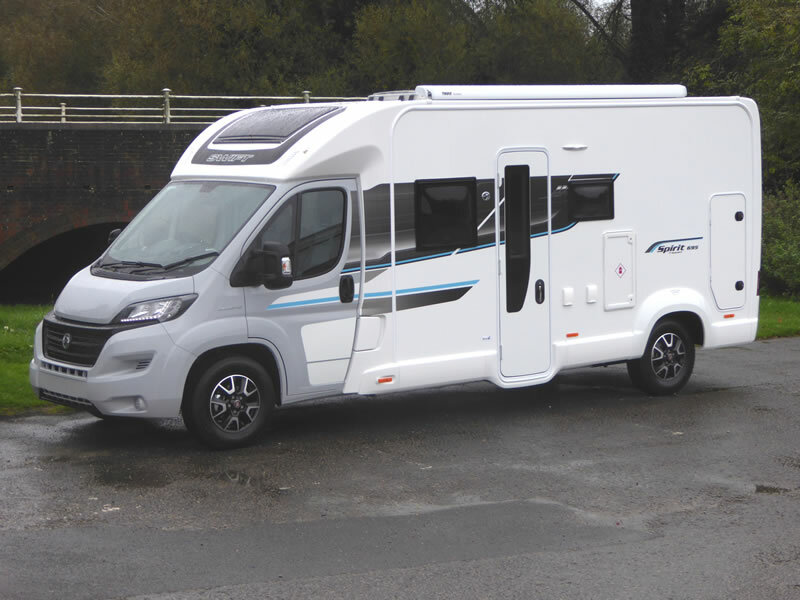 Brand new for 2018, the Exclusive Swift Spirit product range is availble from Dolphin Motorhomes in Southampton and Christchurch. 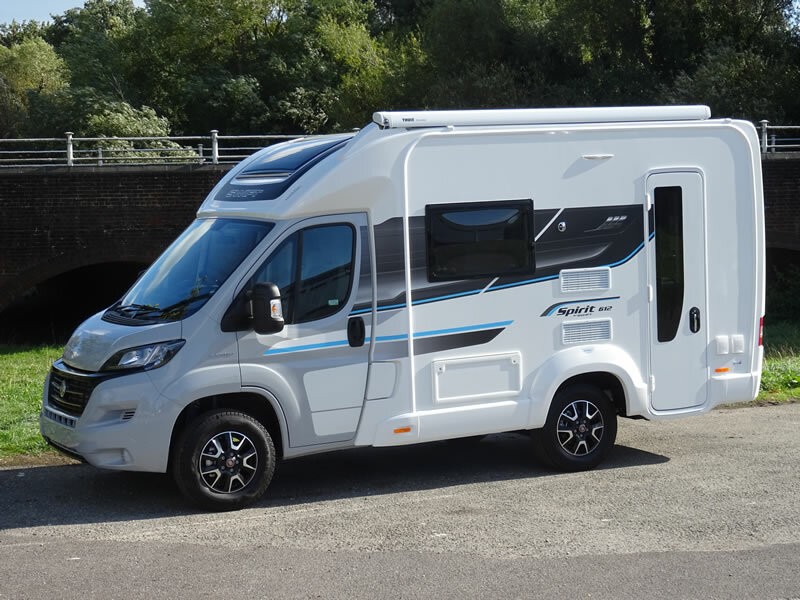 The Spirit Coachbuilt range launched for the 2018 season and has already made a huge impression. 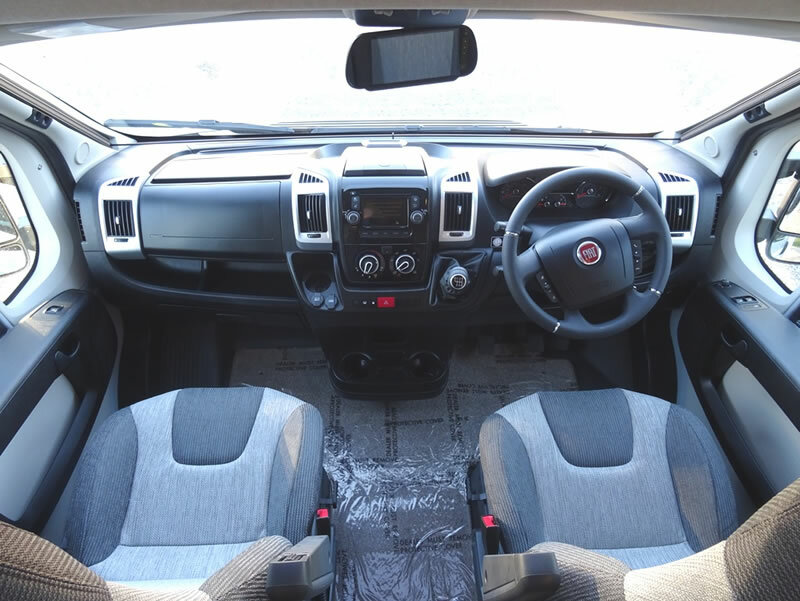 With its streamlined low profile exterior, stylish interior and great value specification it will set the benchmark in its sector. 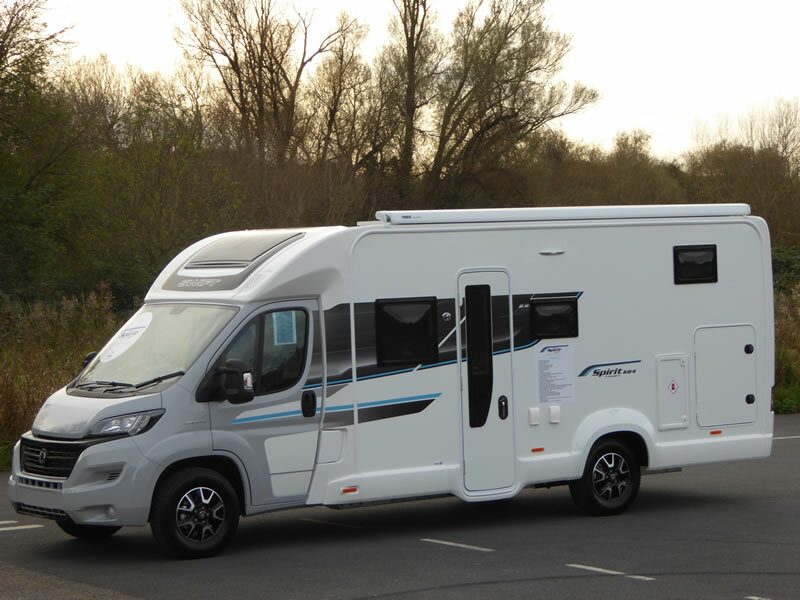 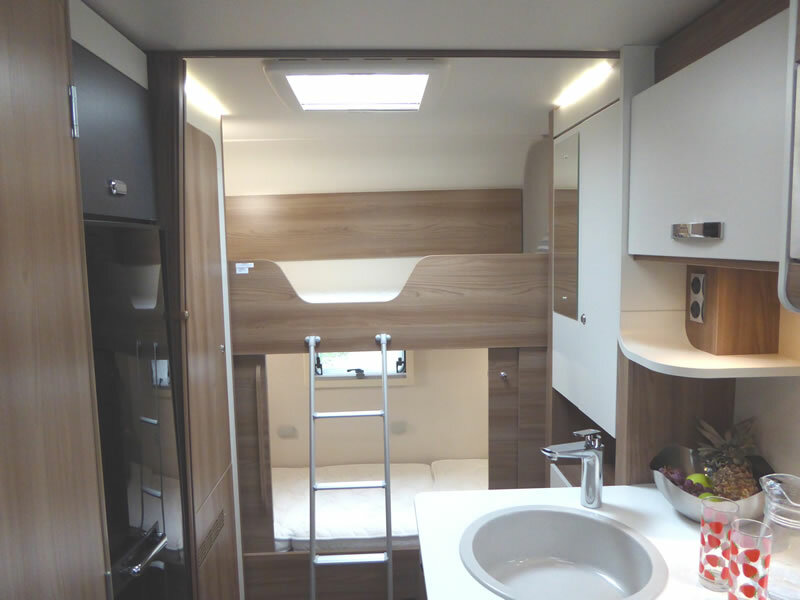 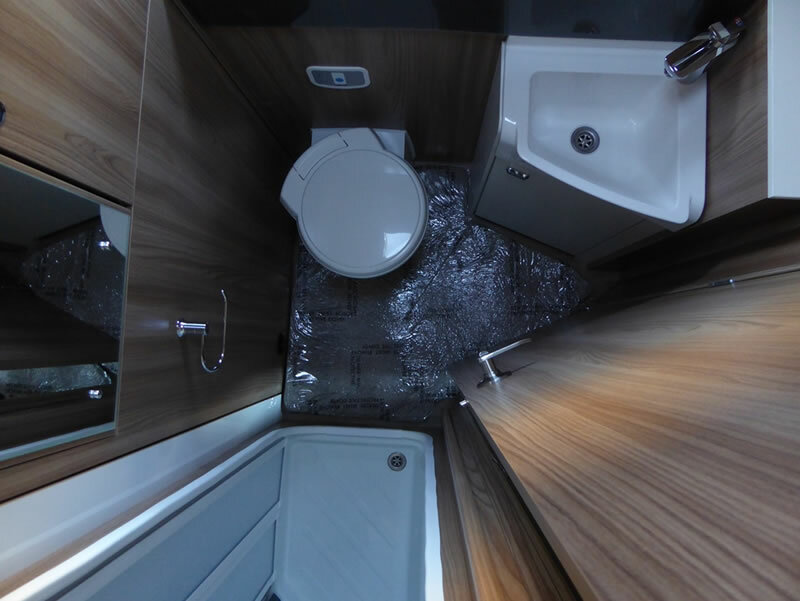 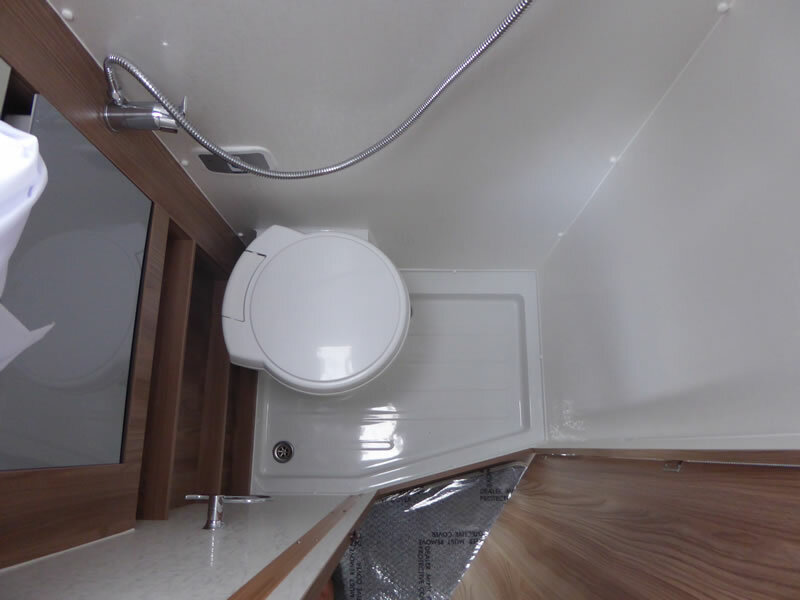 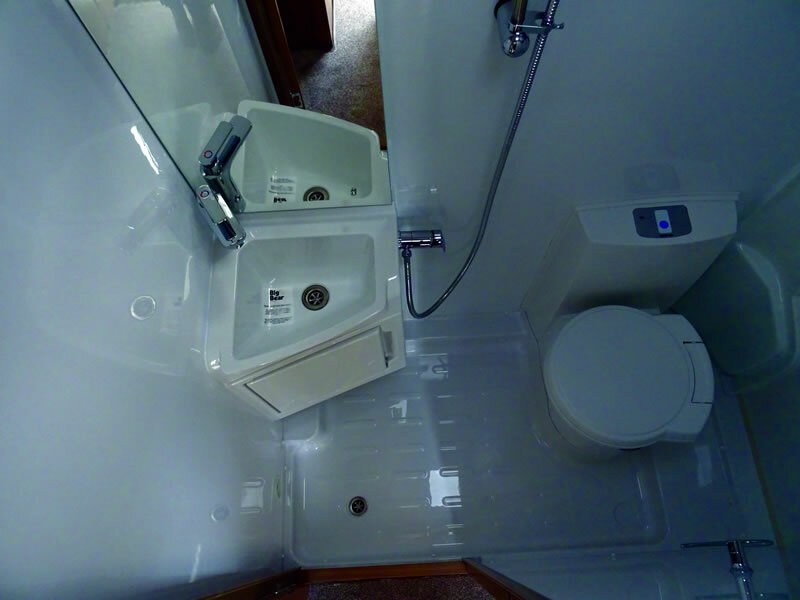 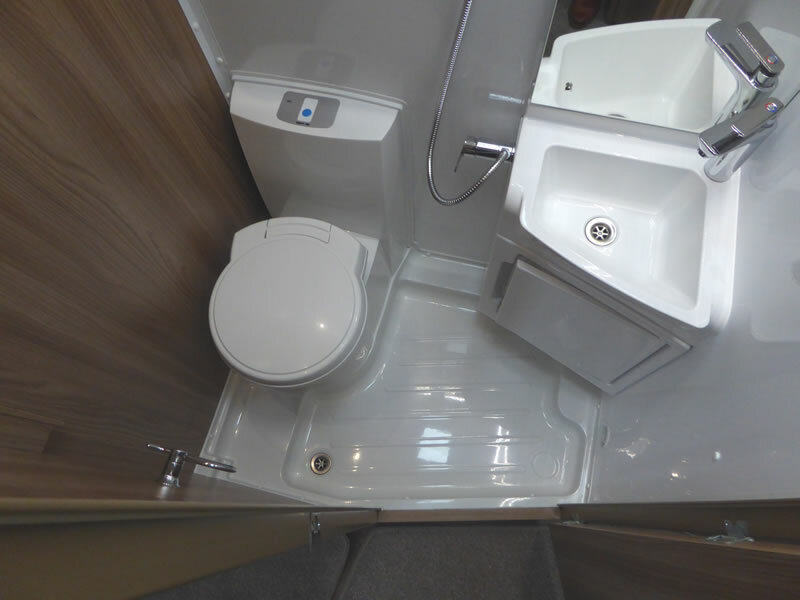 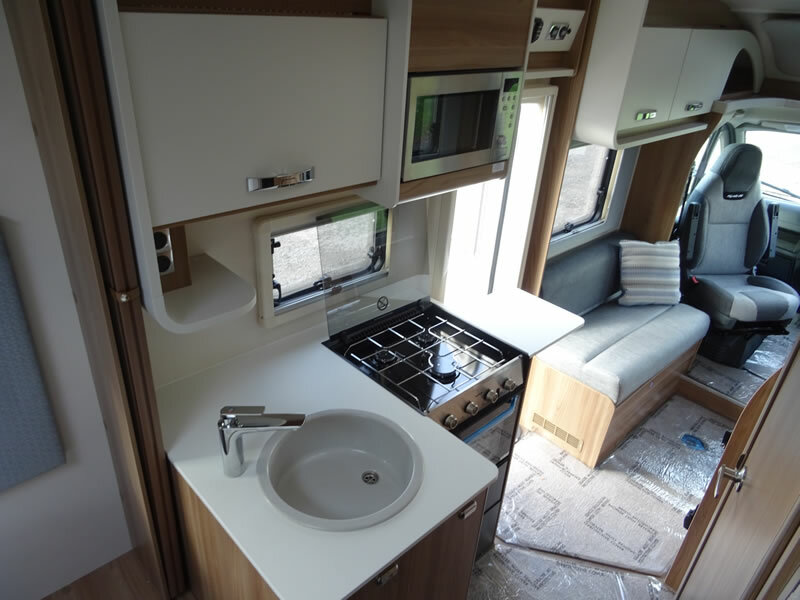 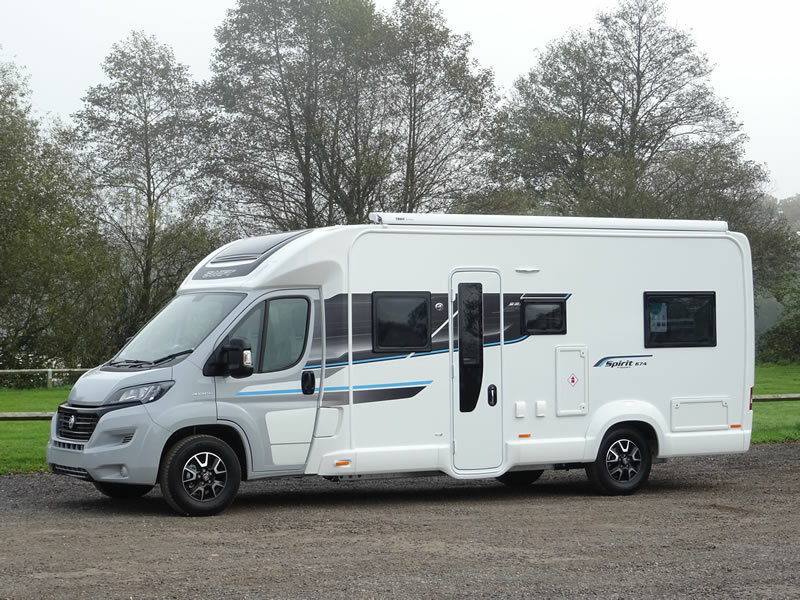 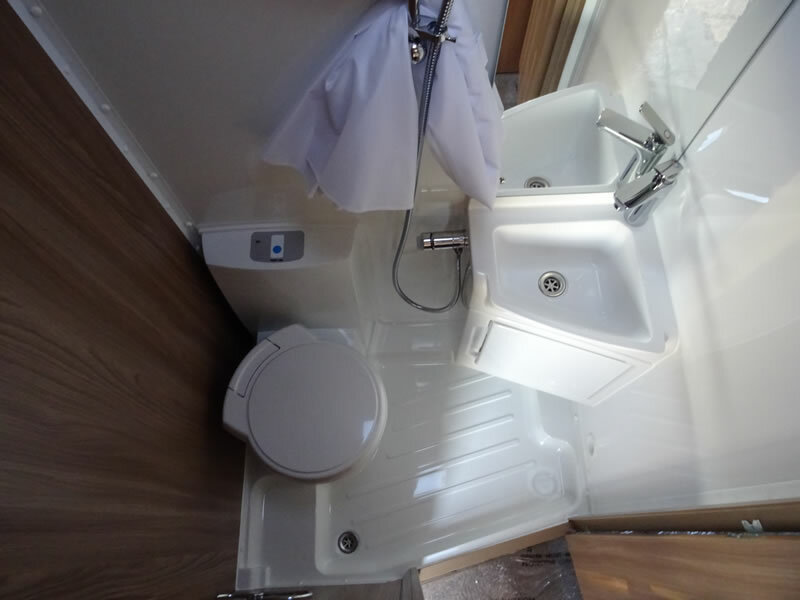 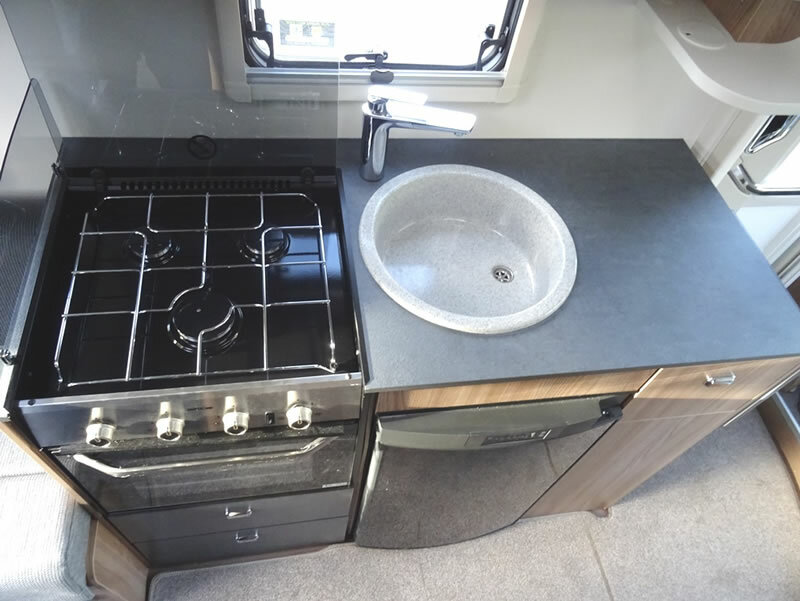 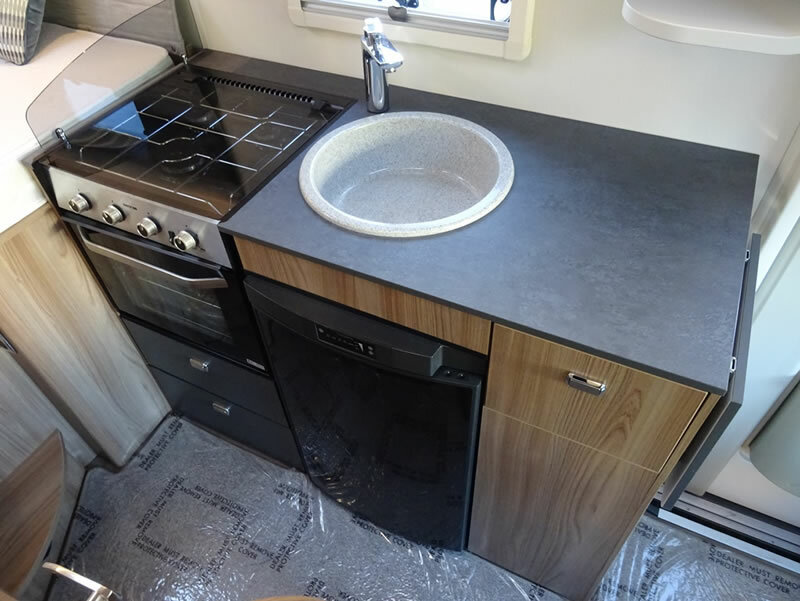 With class leading SMART construction, expanded choice of ten layouts and attractive pricing, it is easy to see why this desirable motorhome range has proved such an instant success. 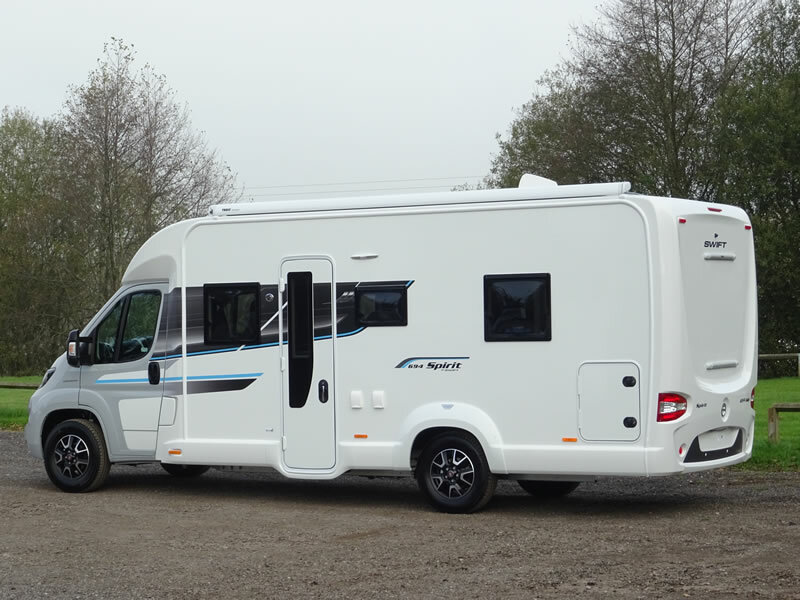 The Spirit Coachbuilt range boasts a fantastic level of specification and enhancements which are all included in the 'Spirit Pack'. 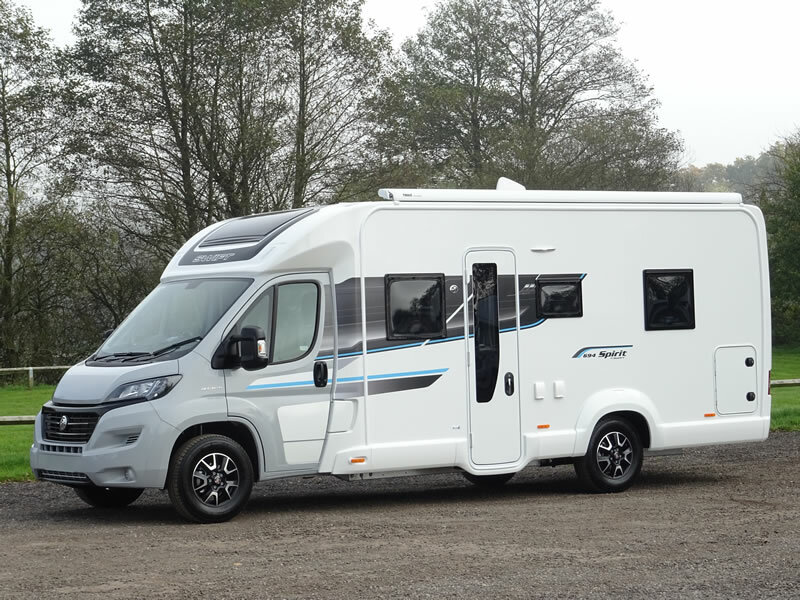 The brand new Compact range has been launched for the 2019 season. 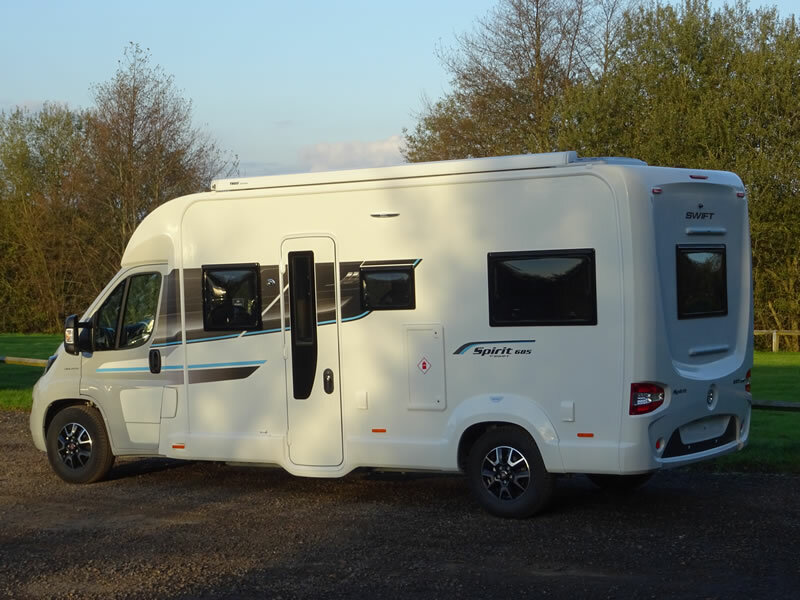 With three different models, the Spirit Compact offers coachbuilt luxury in a size similar to a panel van. 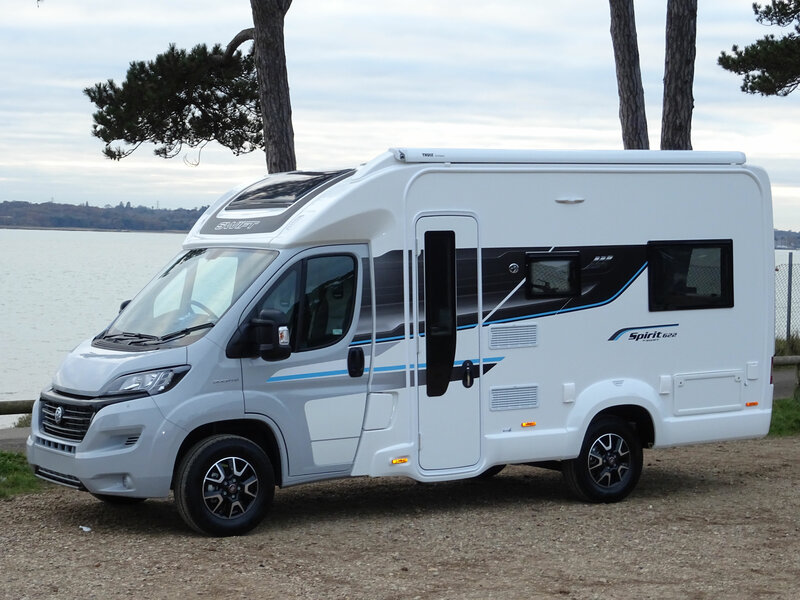 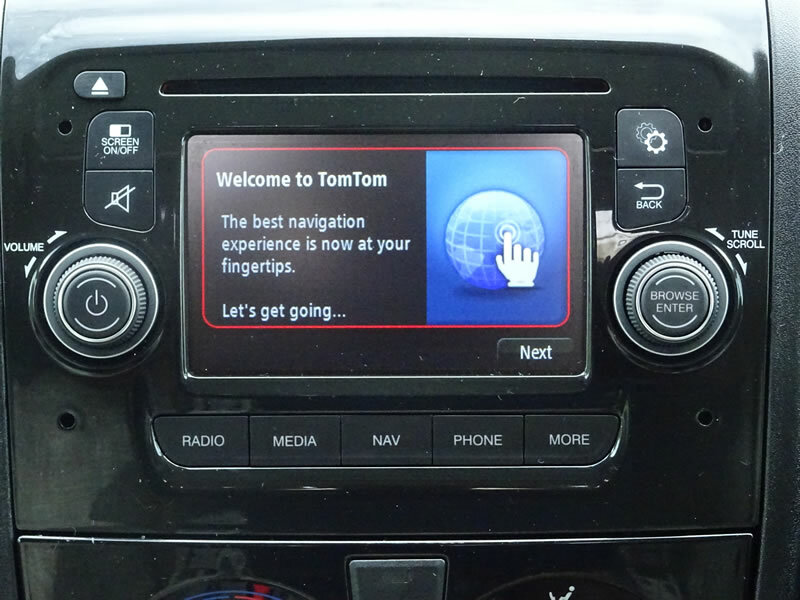 It is slightly narrower than a standard coachbuilt model and is less than 6 meters in length. 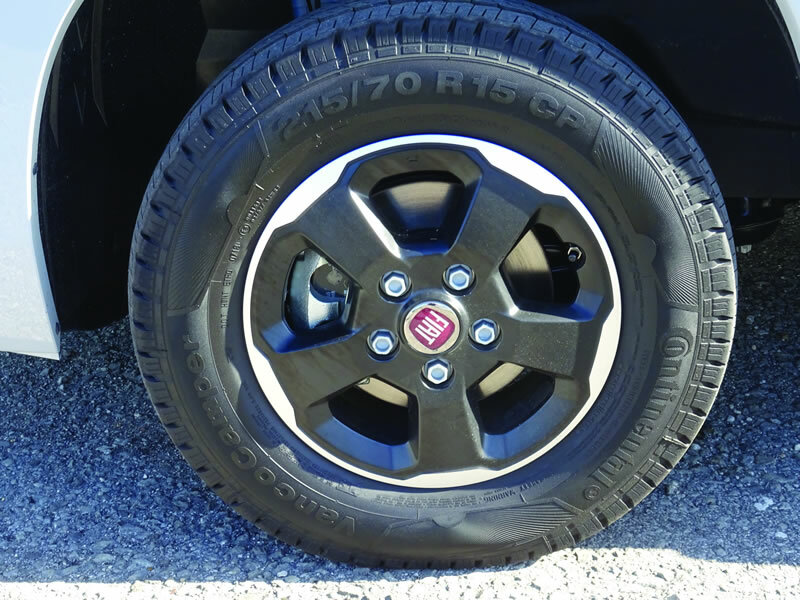 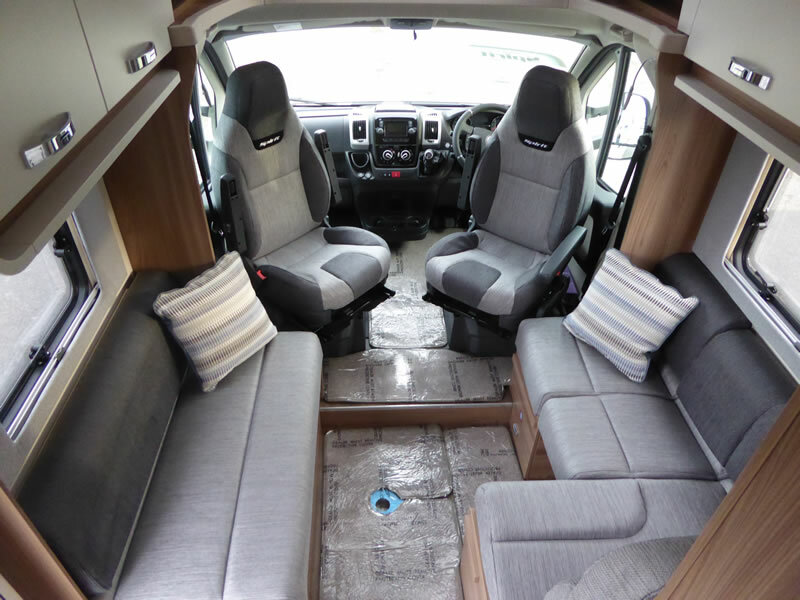 This incredibly versatile van conversion range easily converts from every day run around to sporty adventurer. 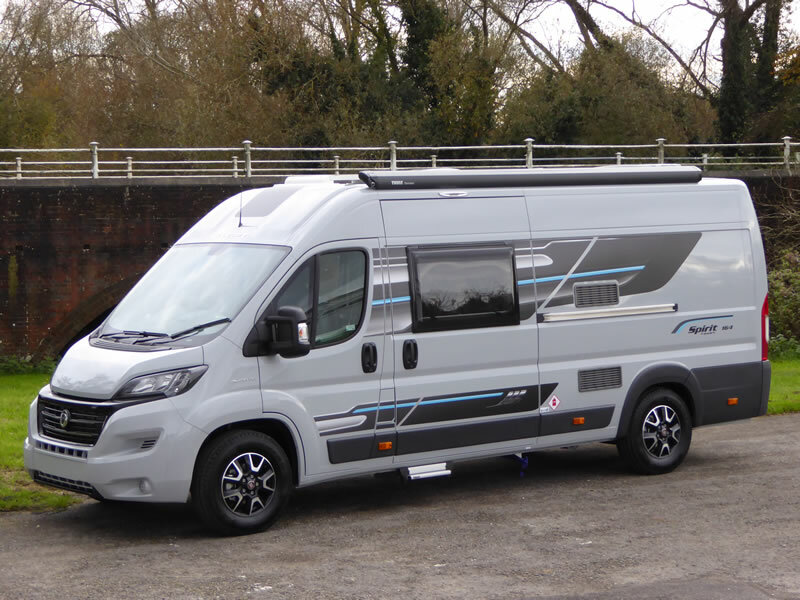 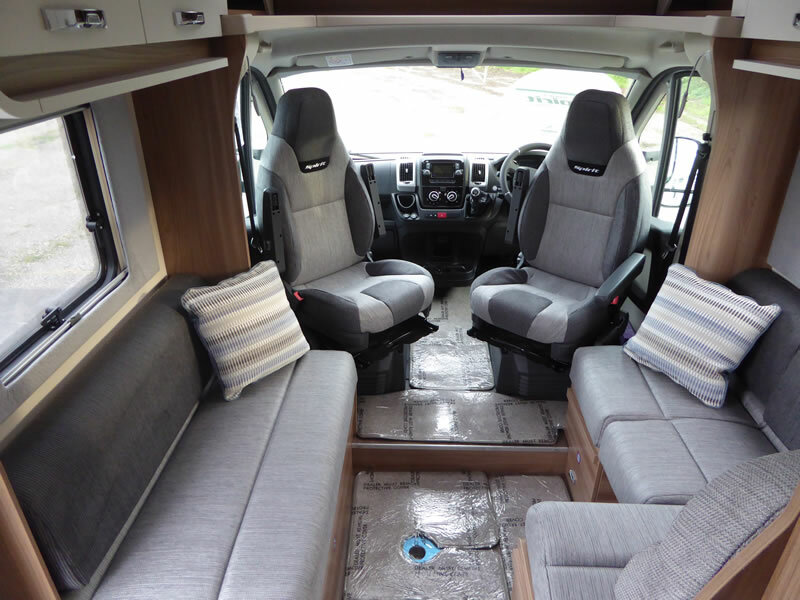 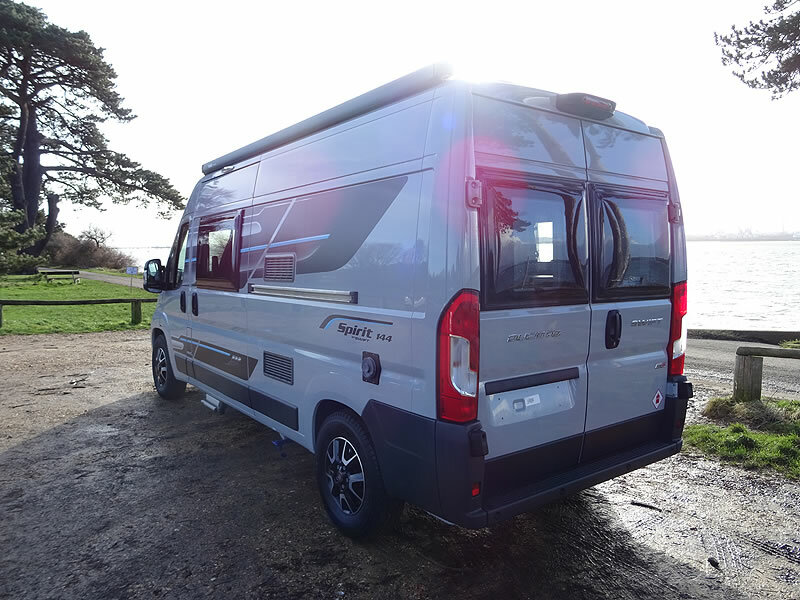 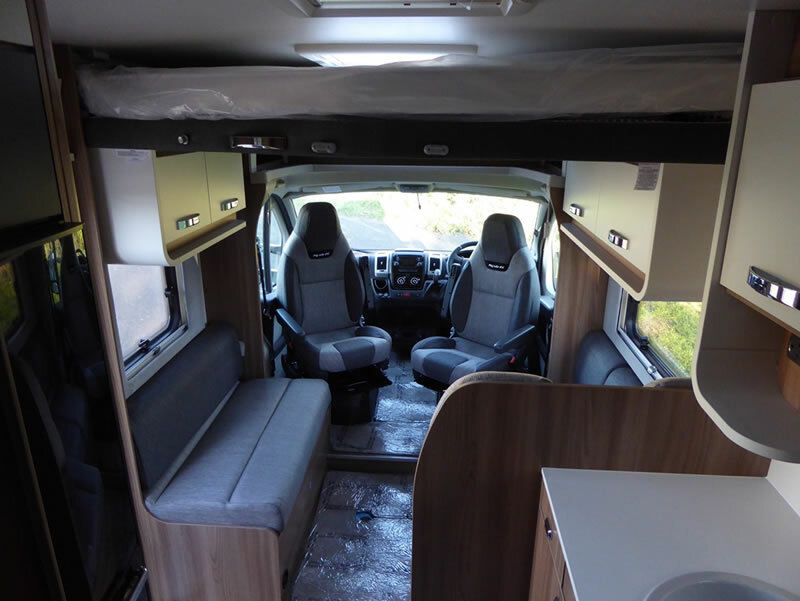 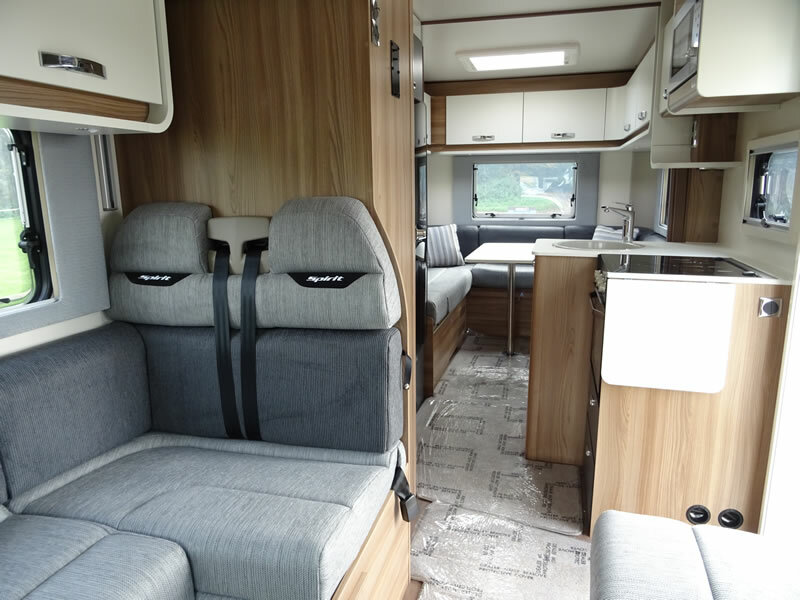 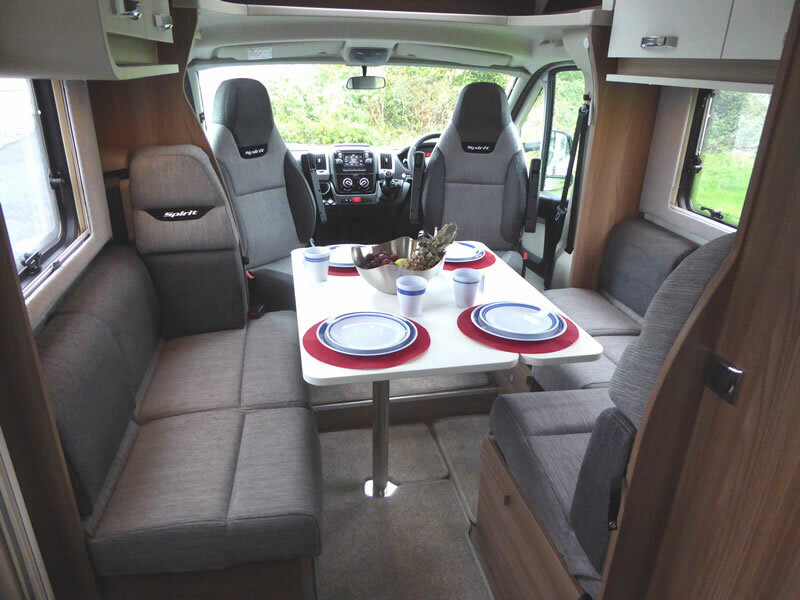 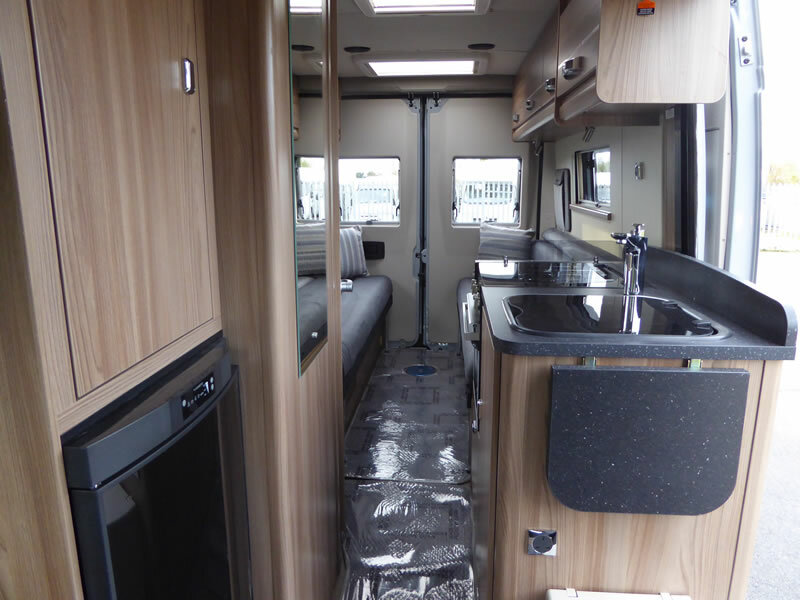 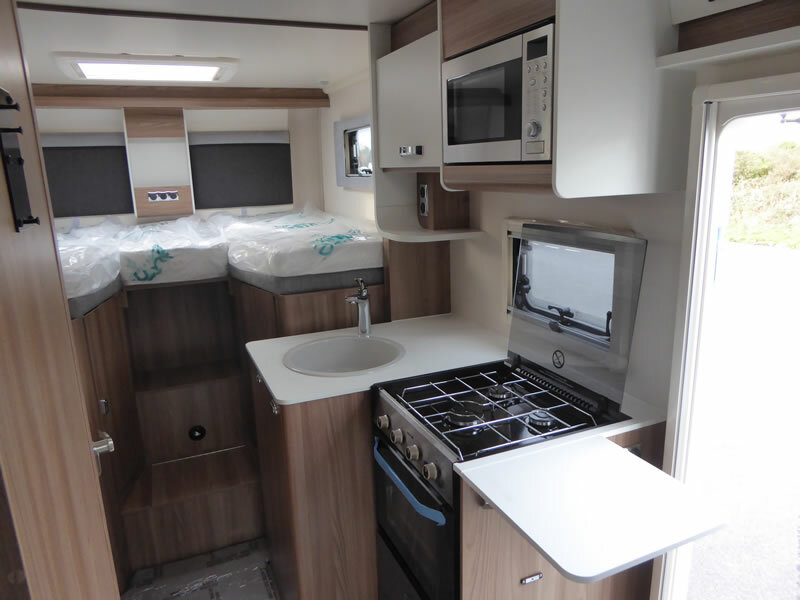 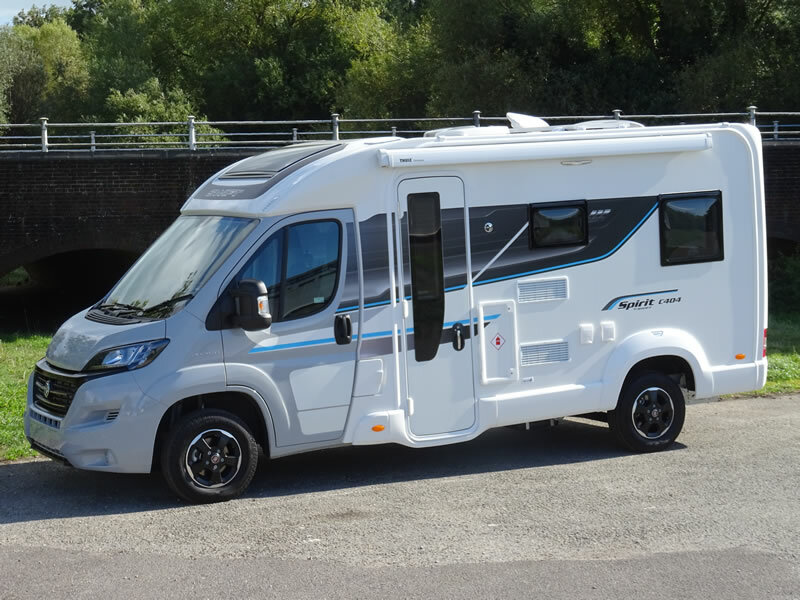 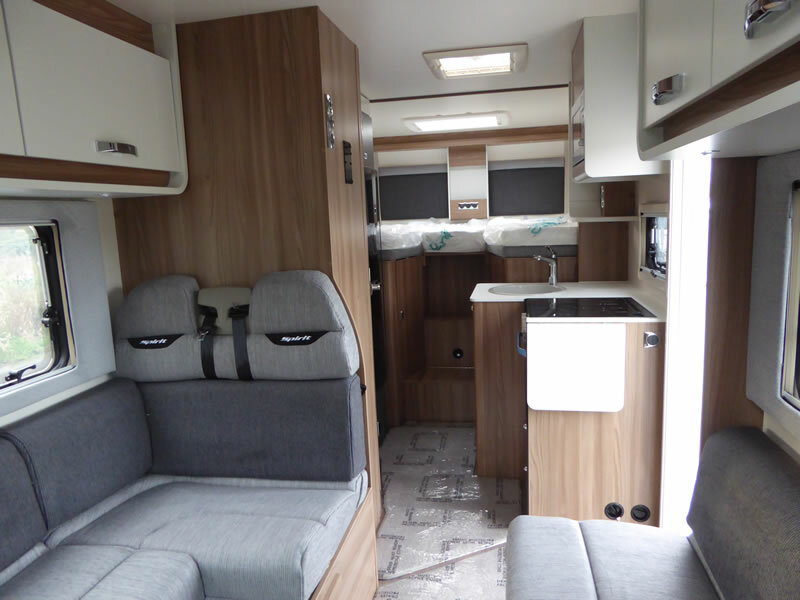 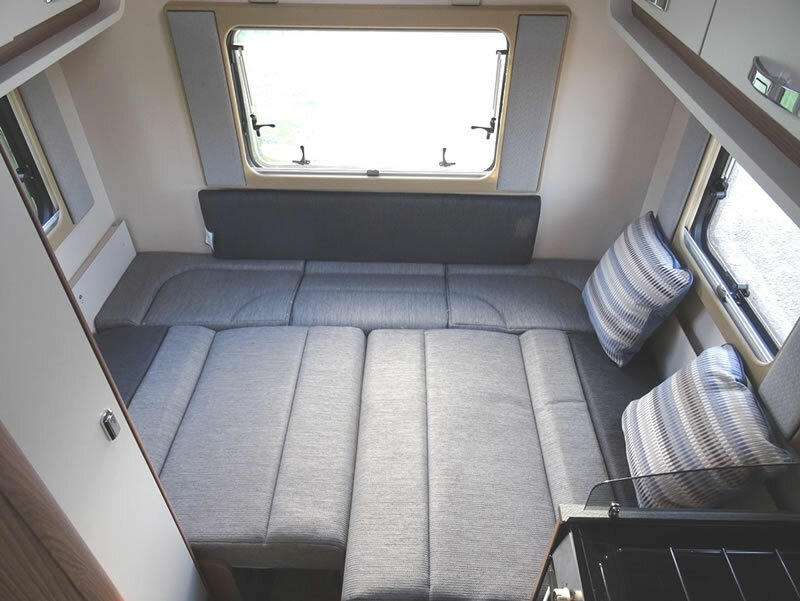 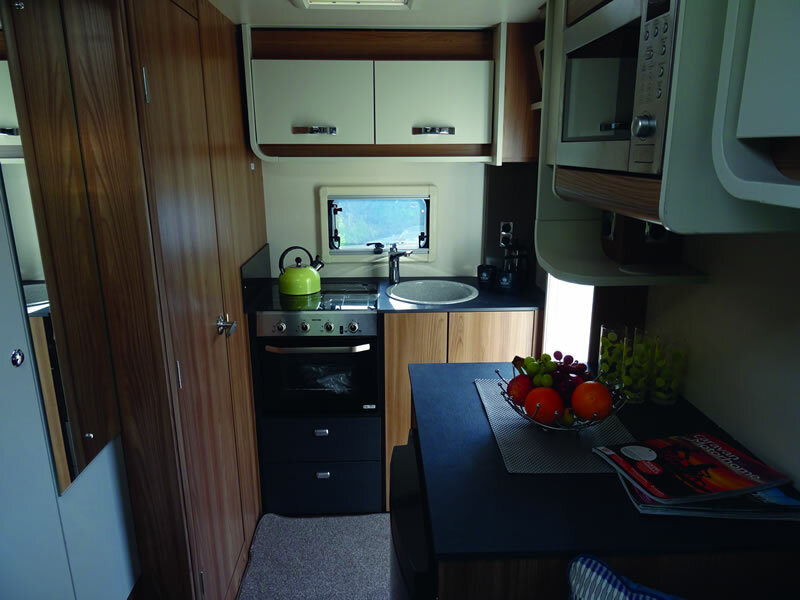 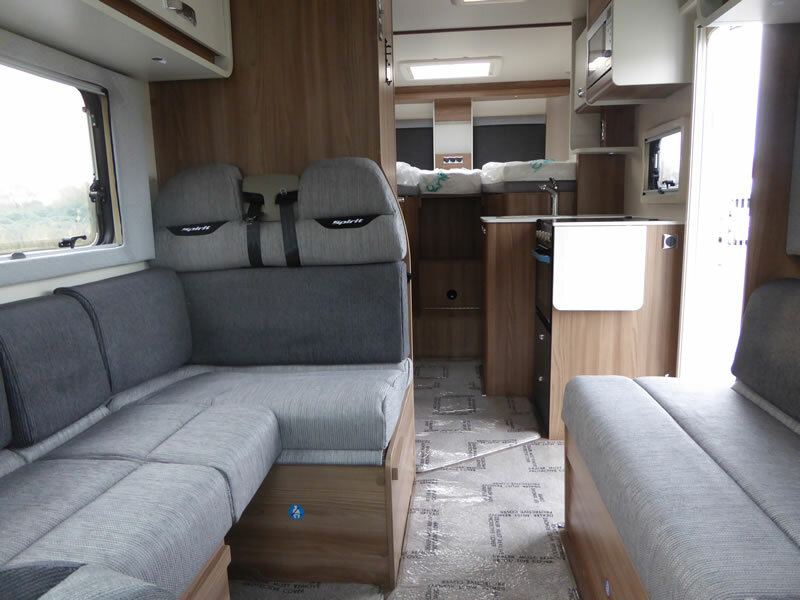 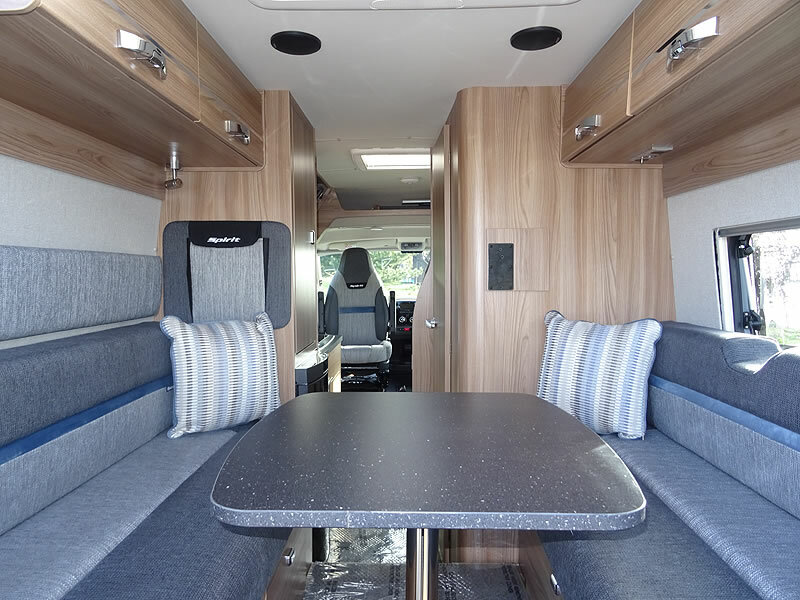 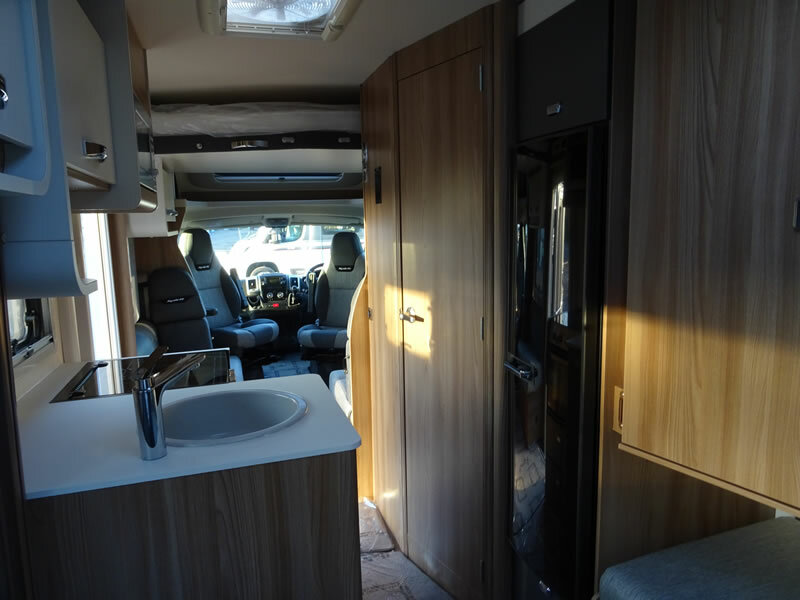 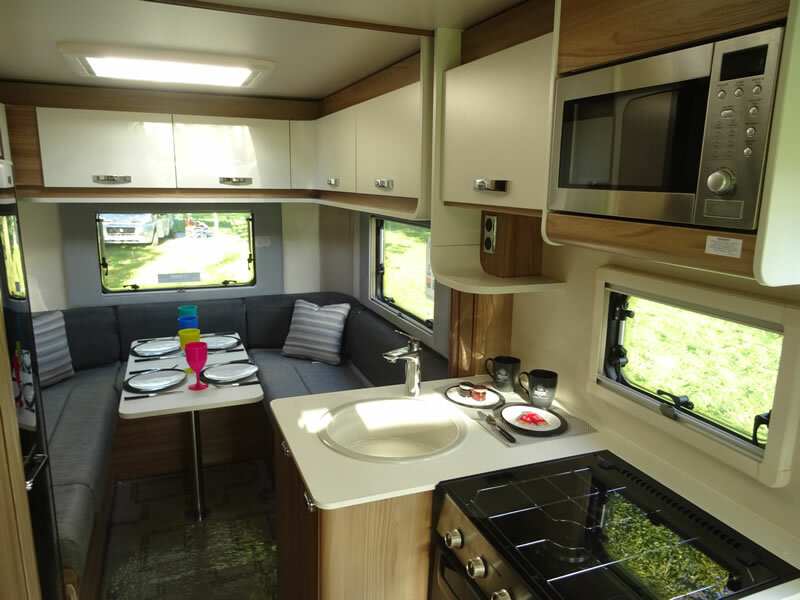 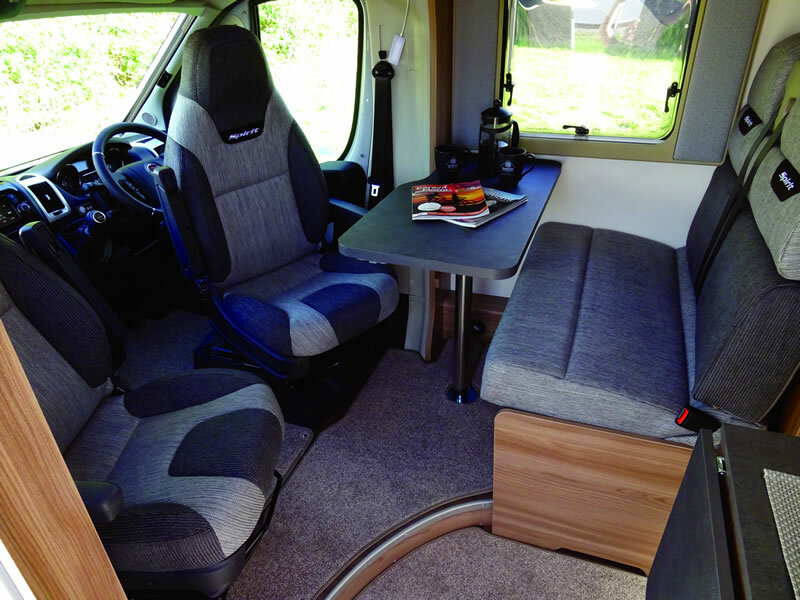 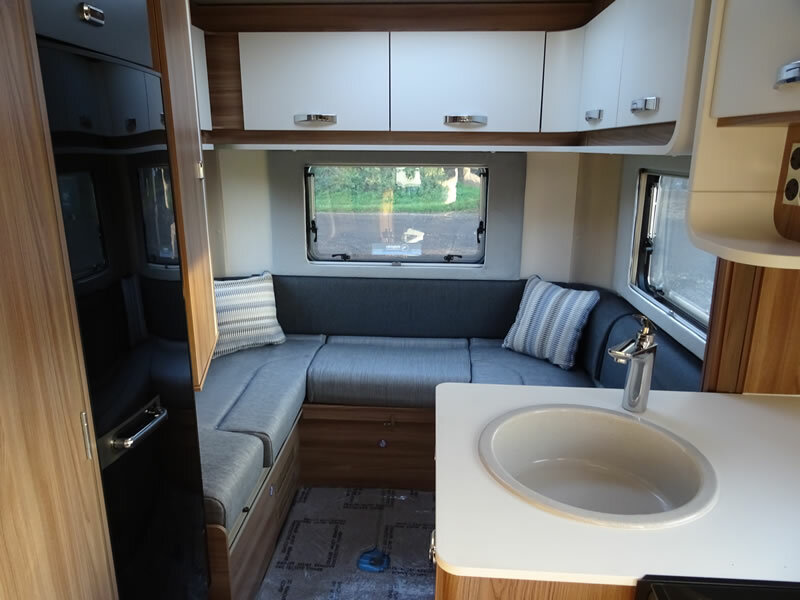 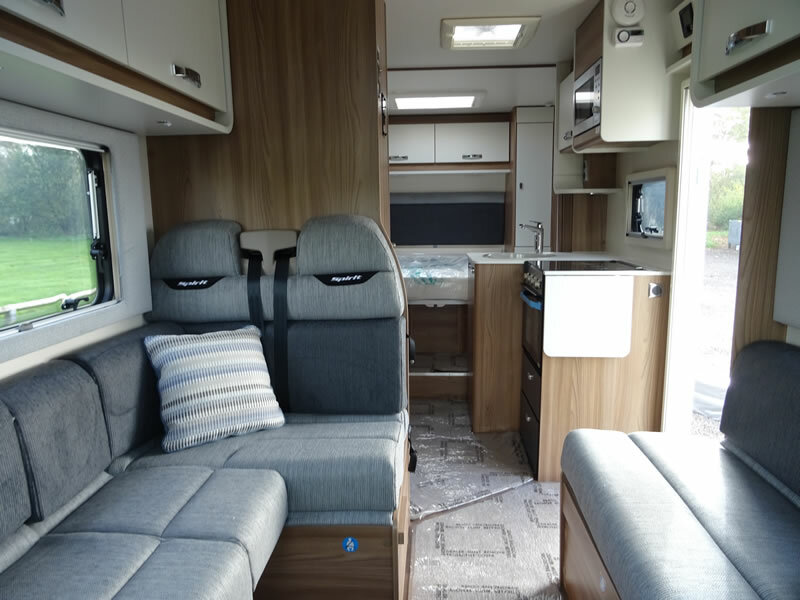 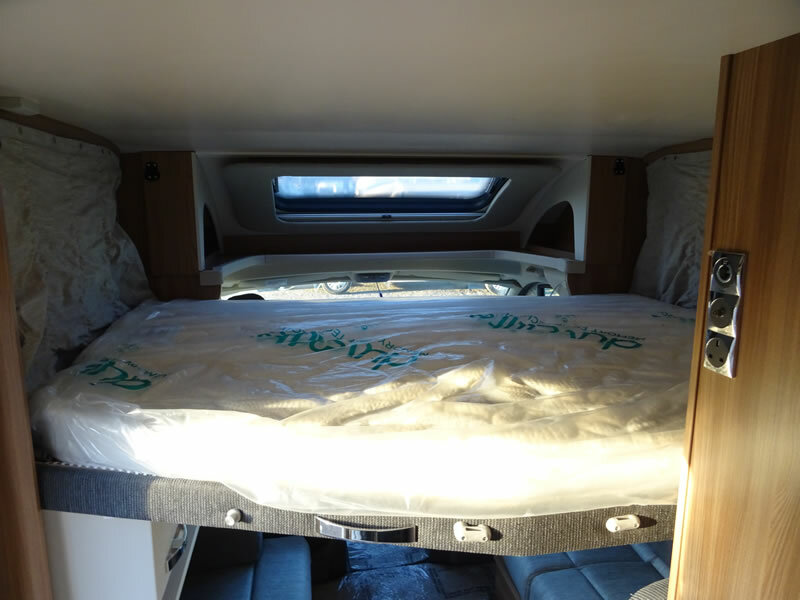 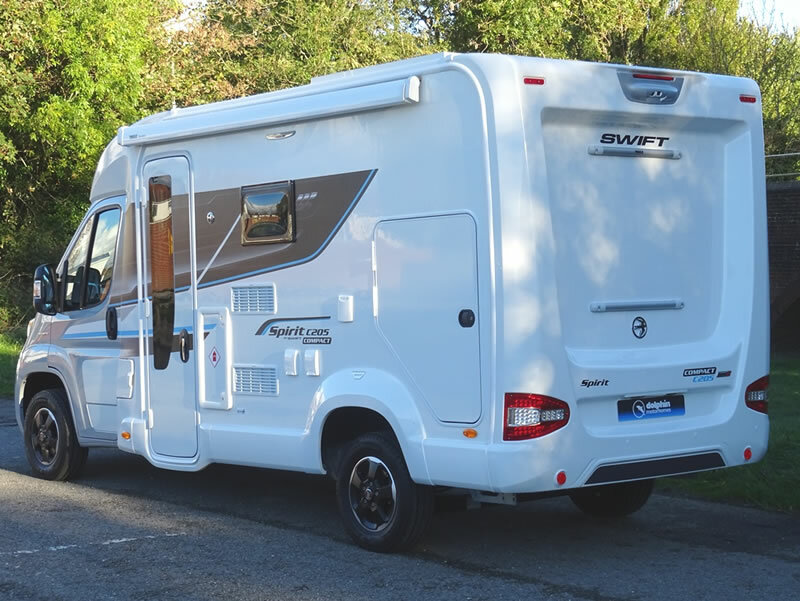 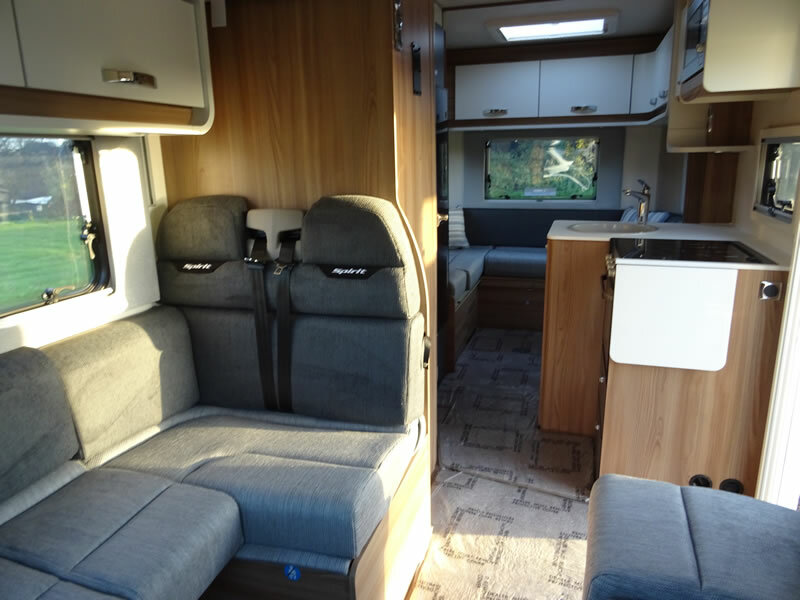 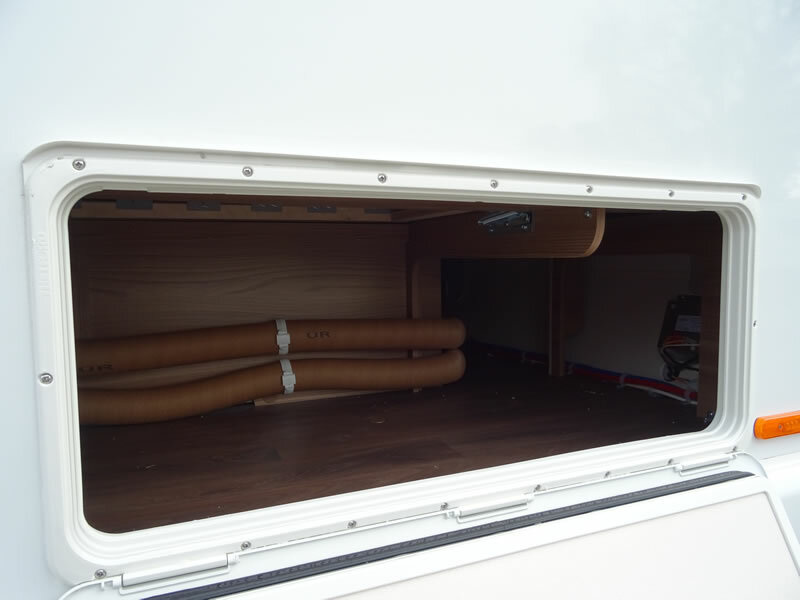 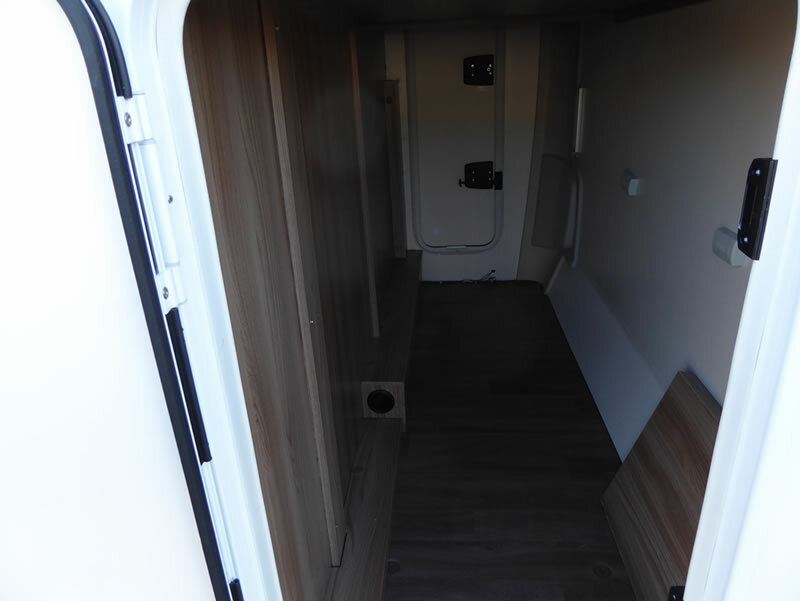 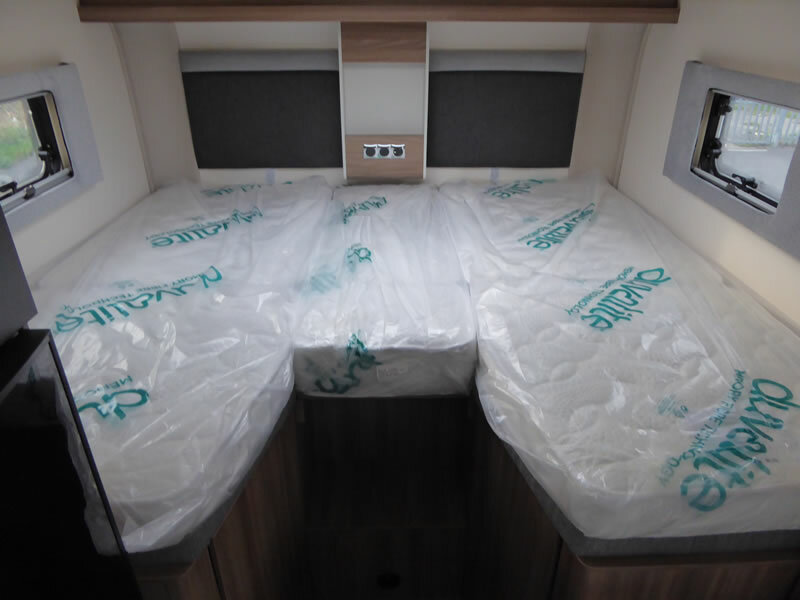 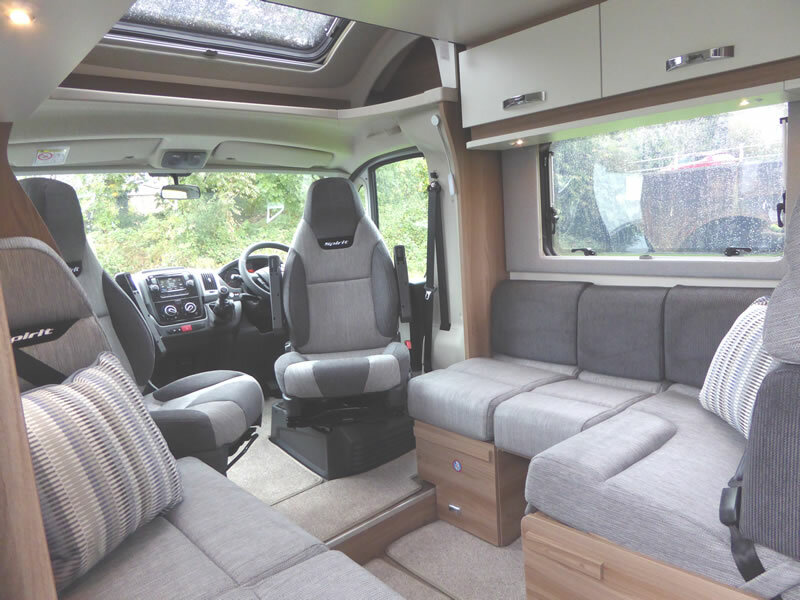 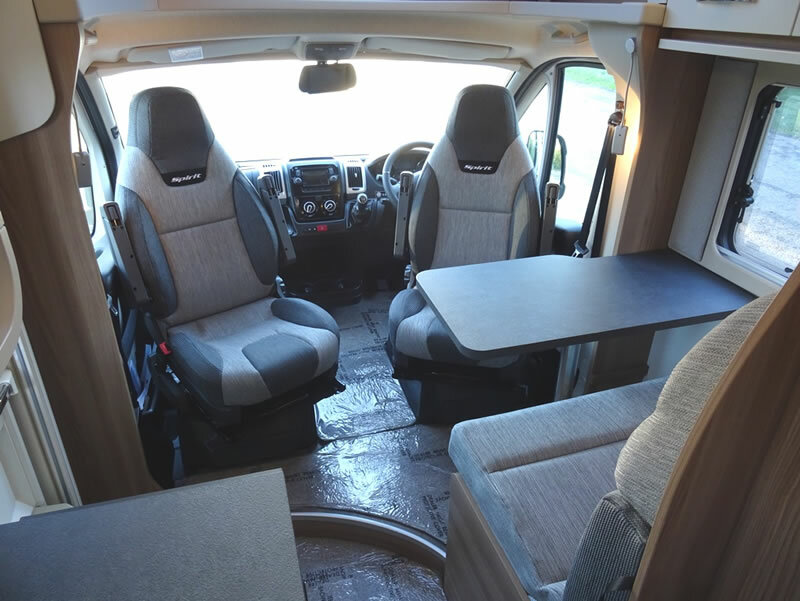 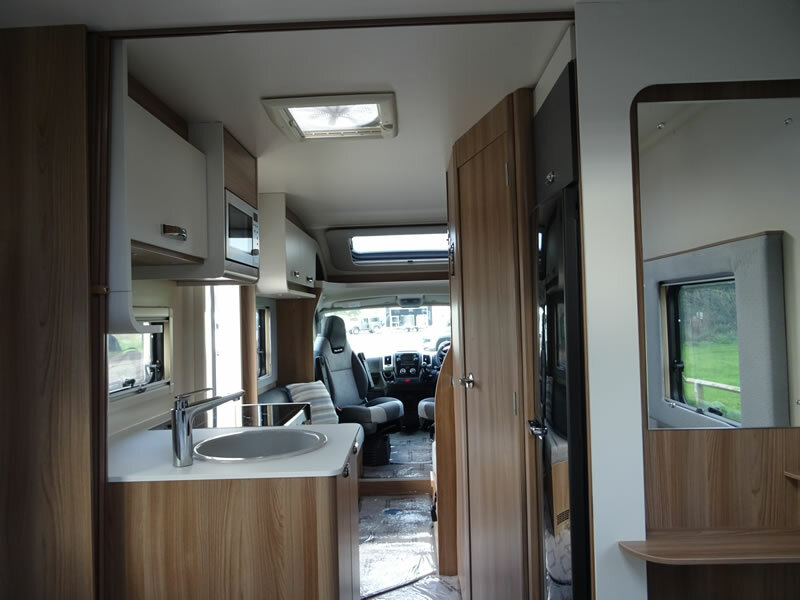 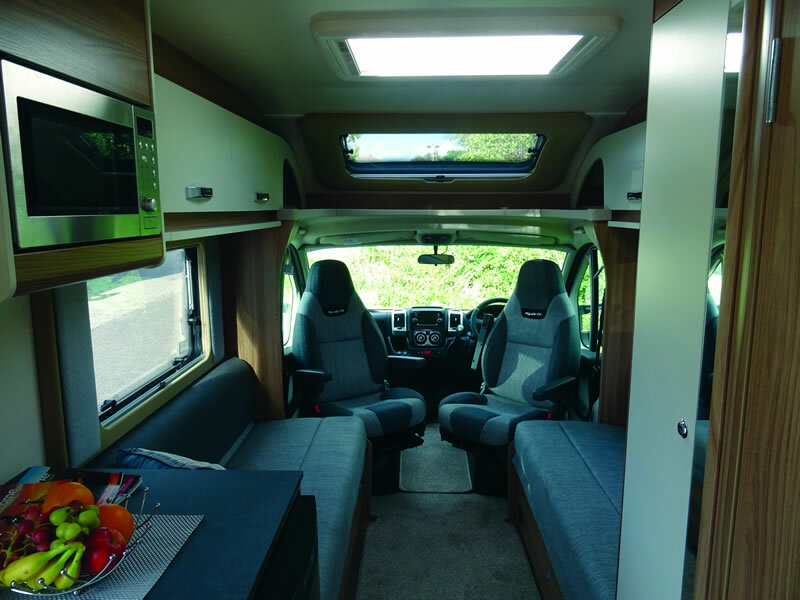 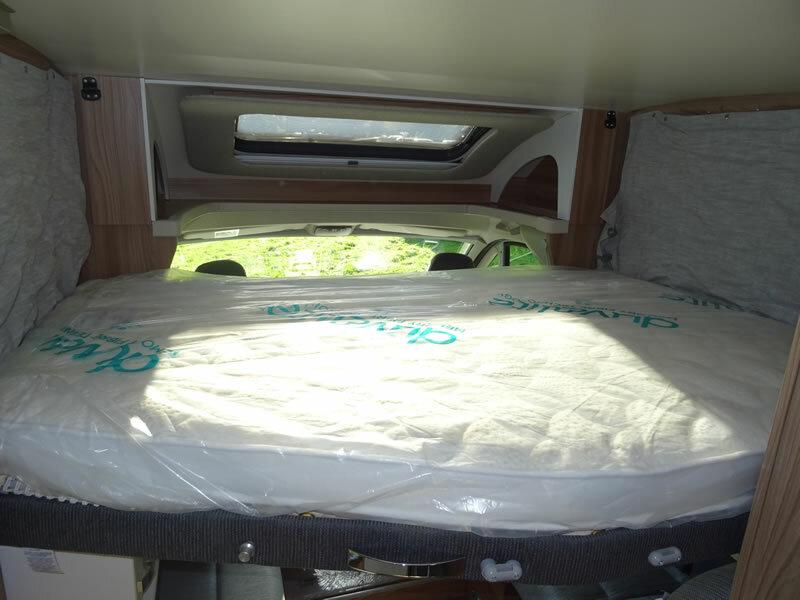 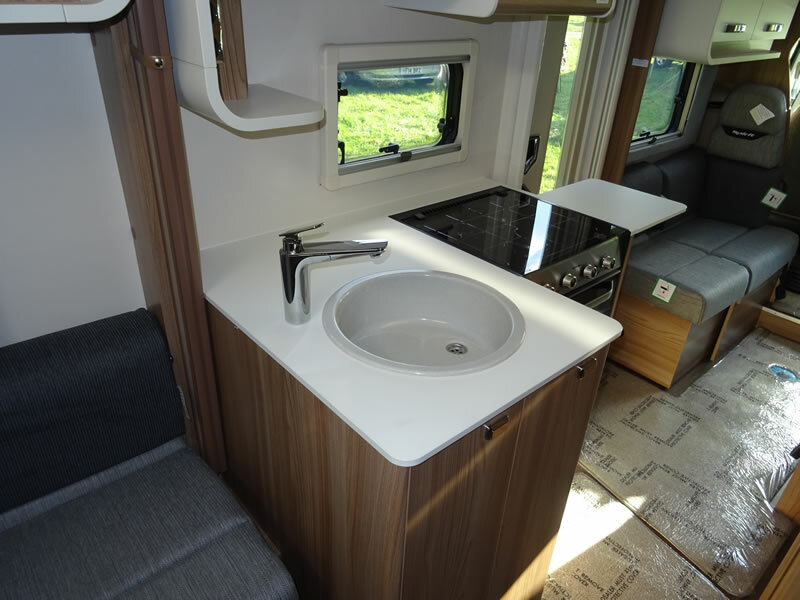 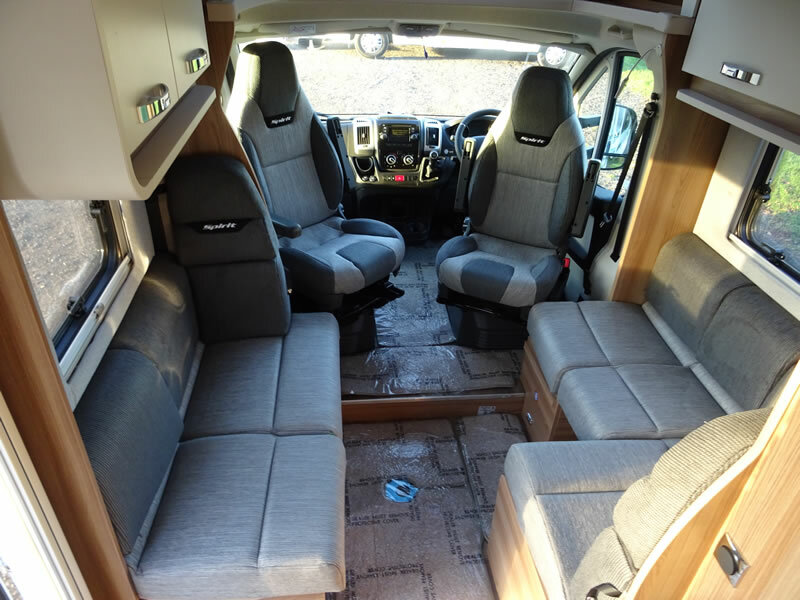 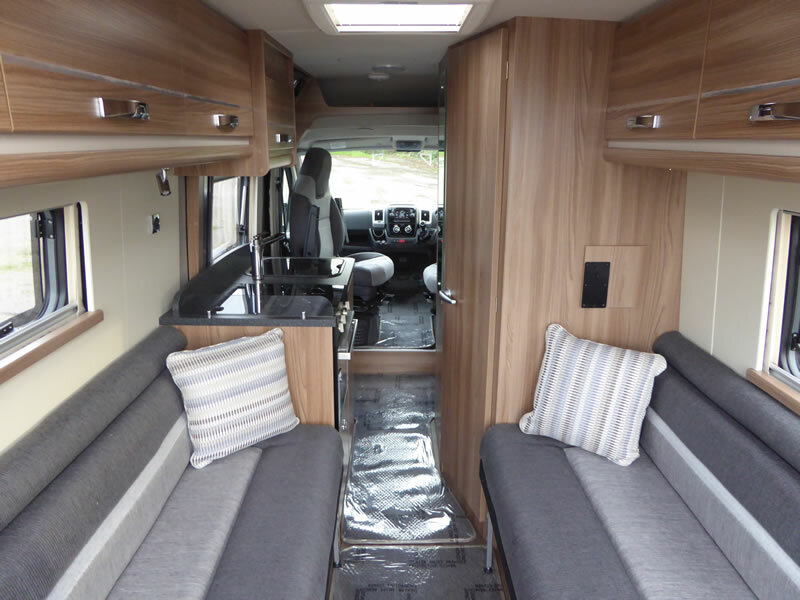 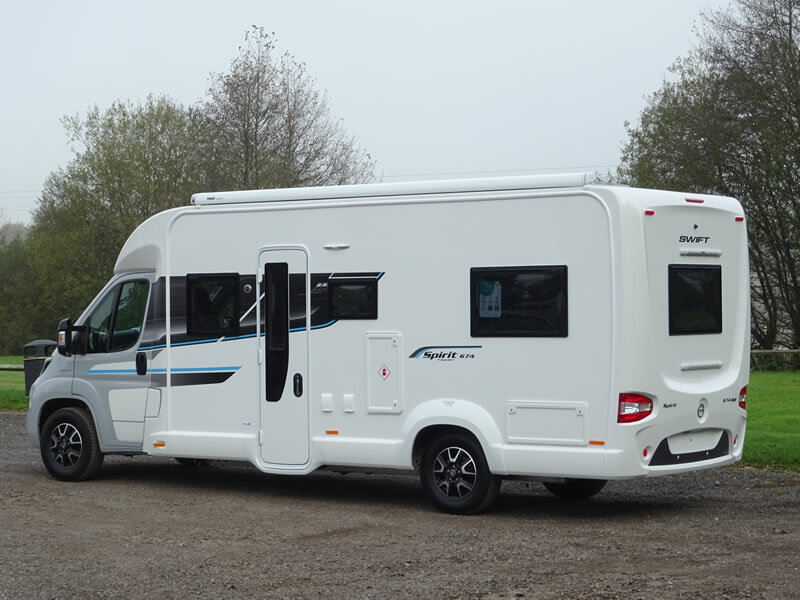 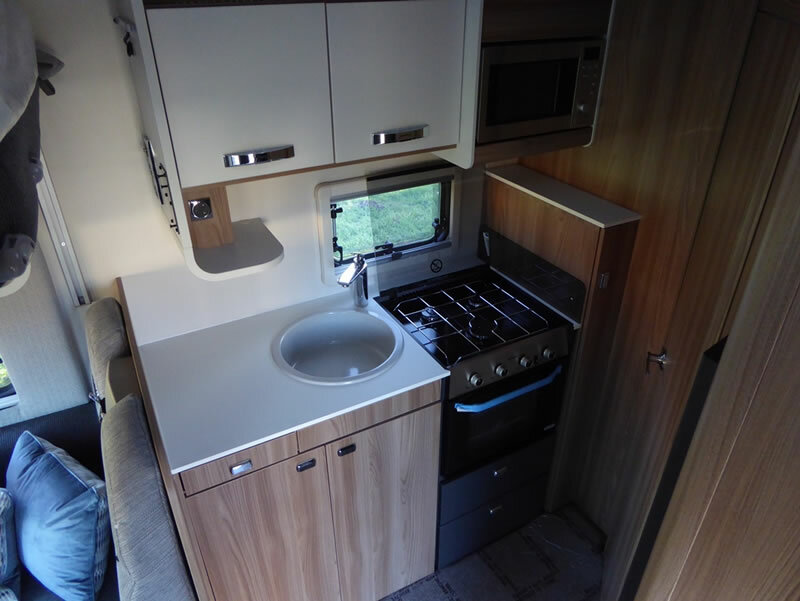 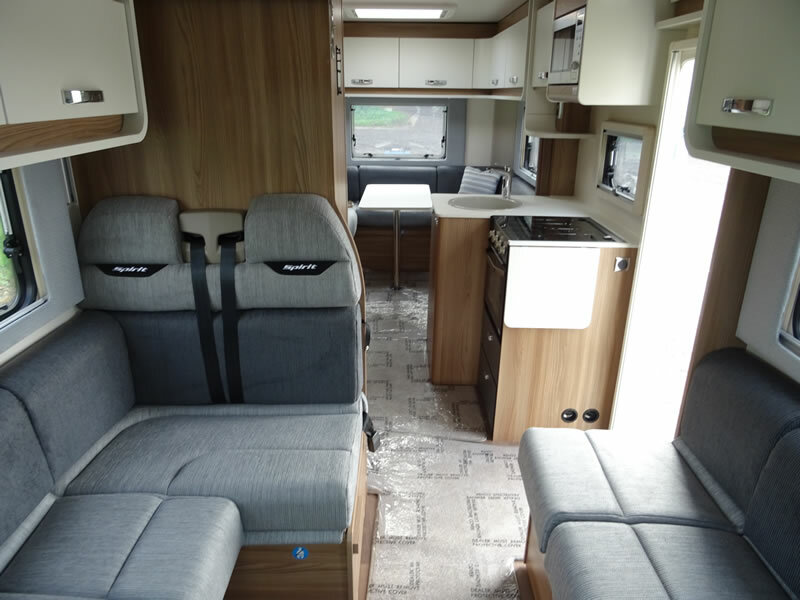 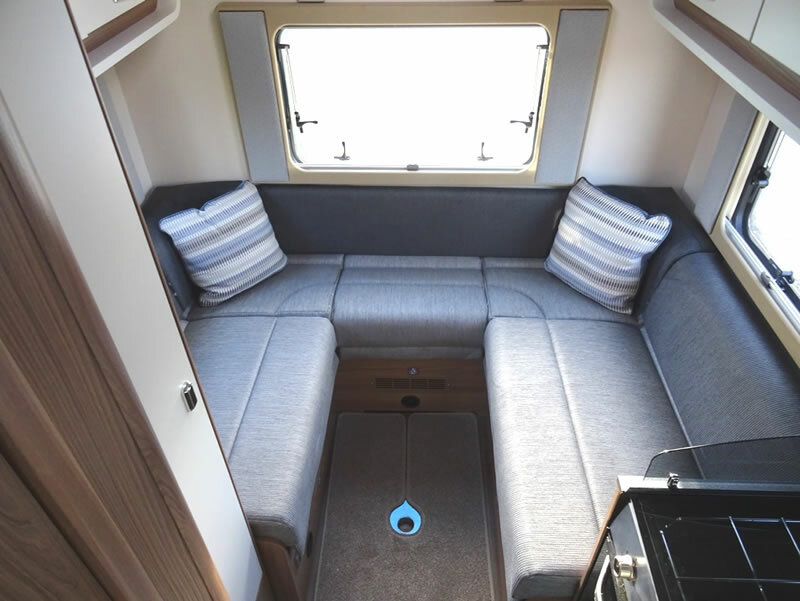 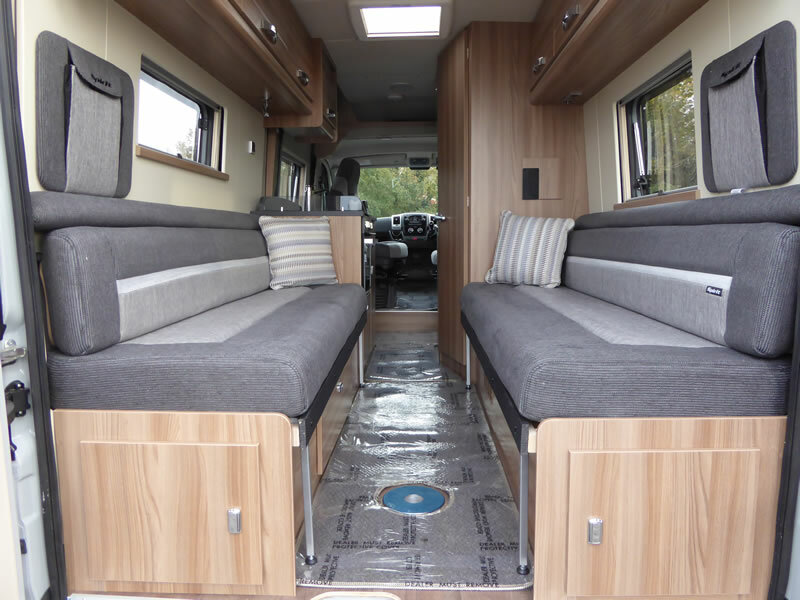 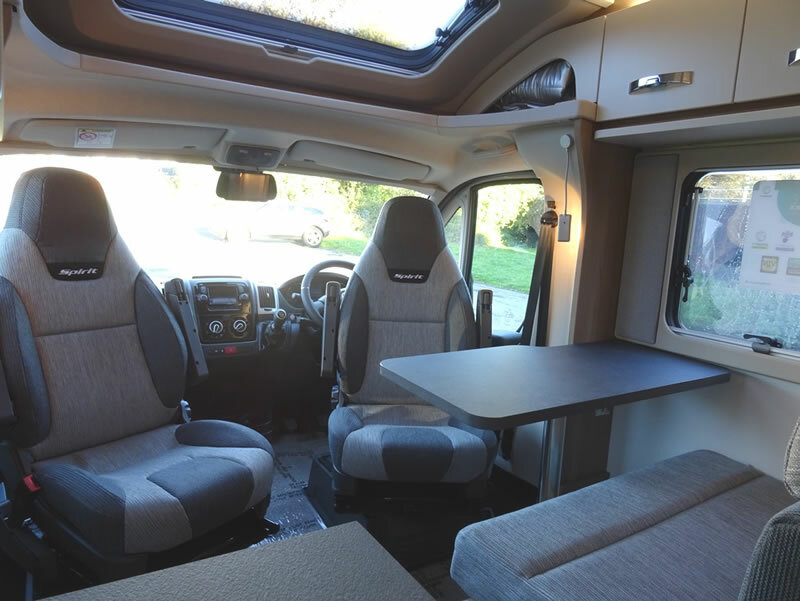 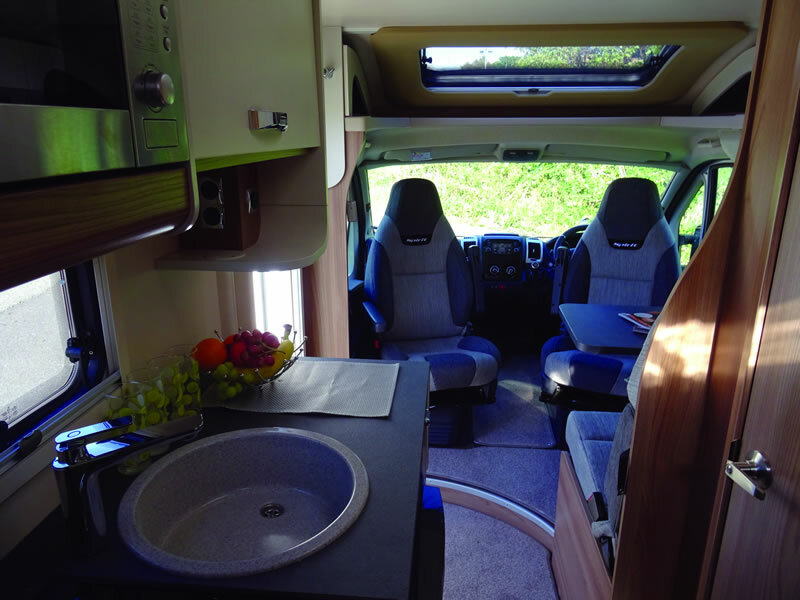 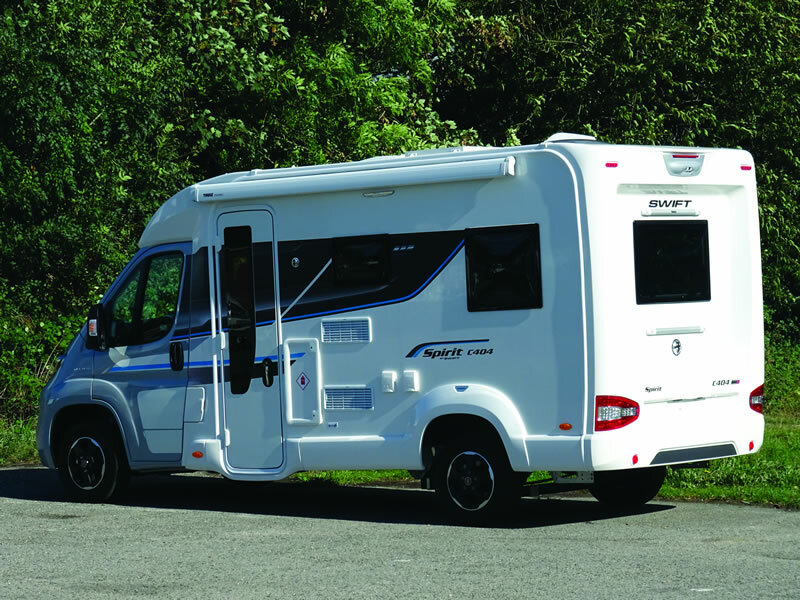 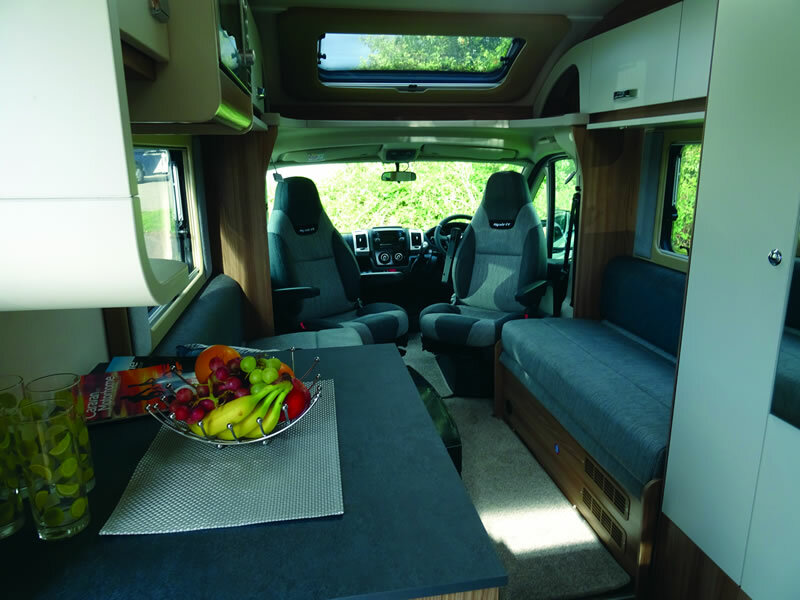 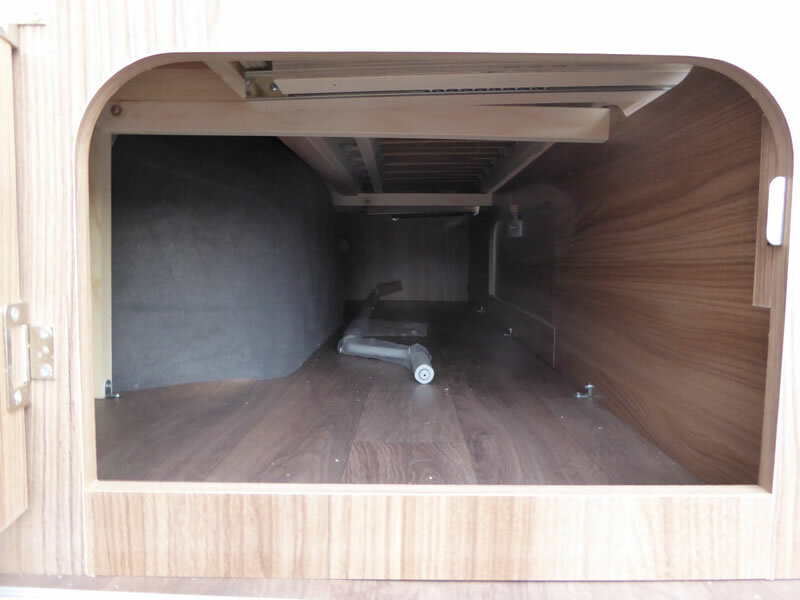 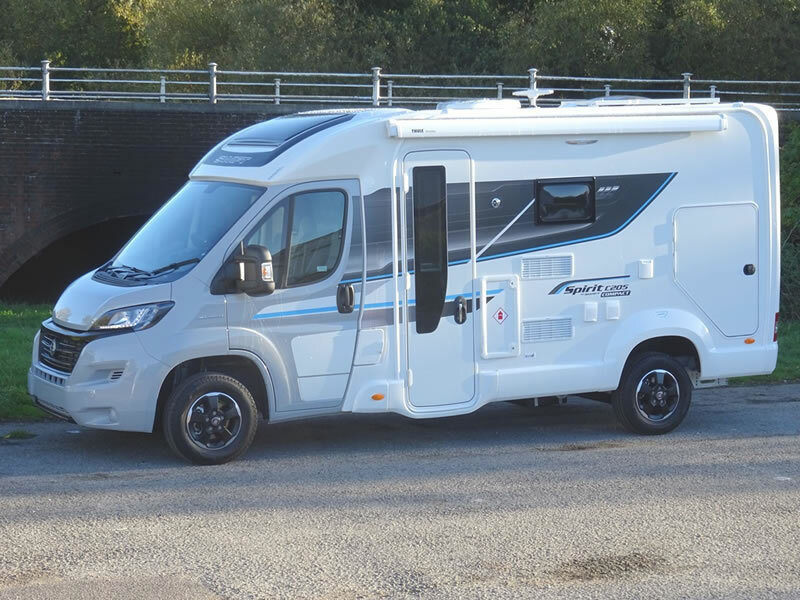 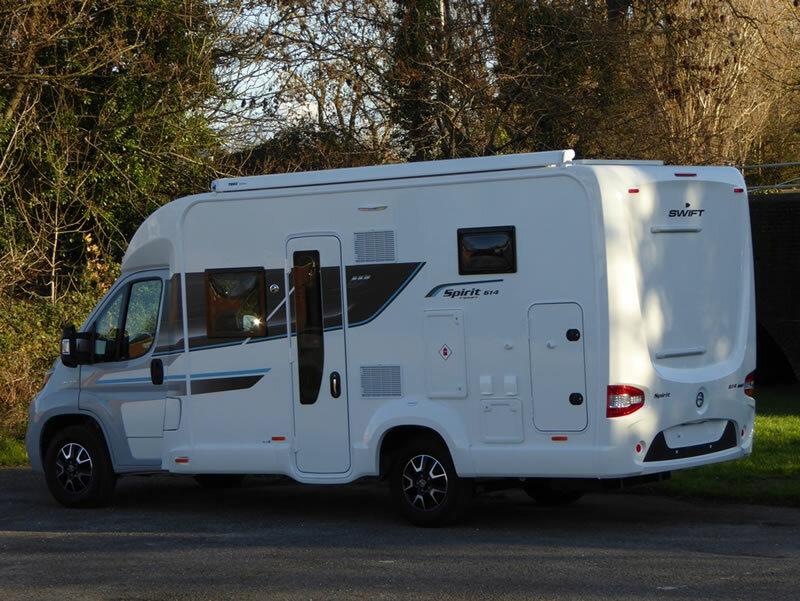 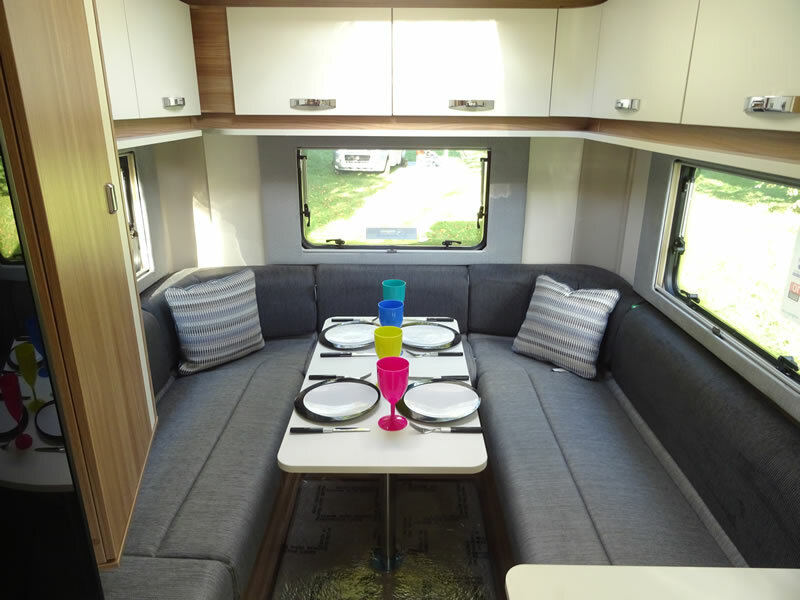 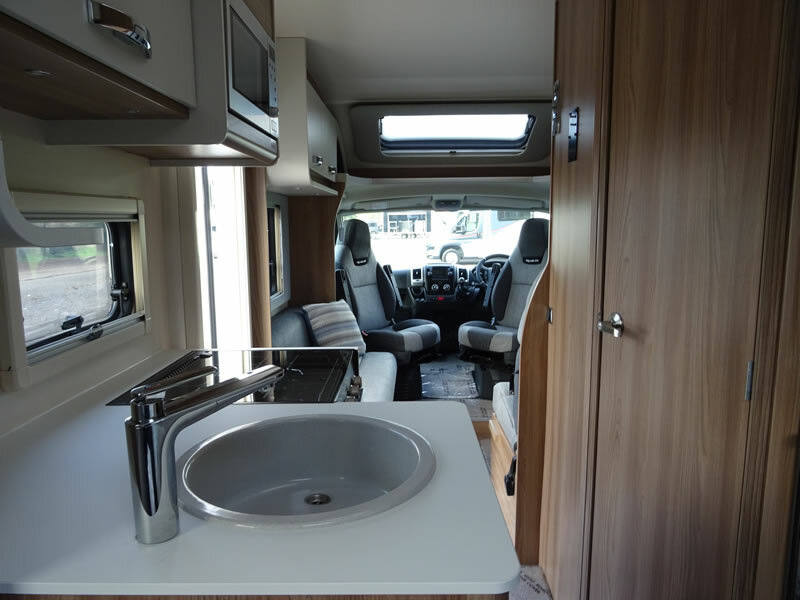 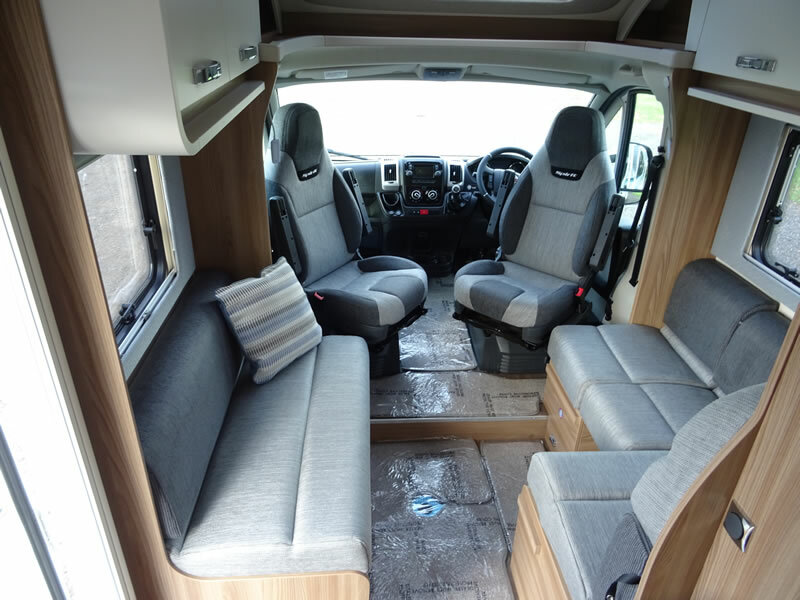 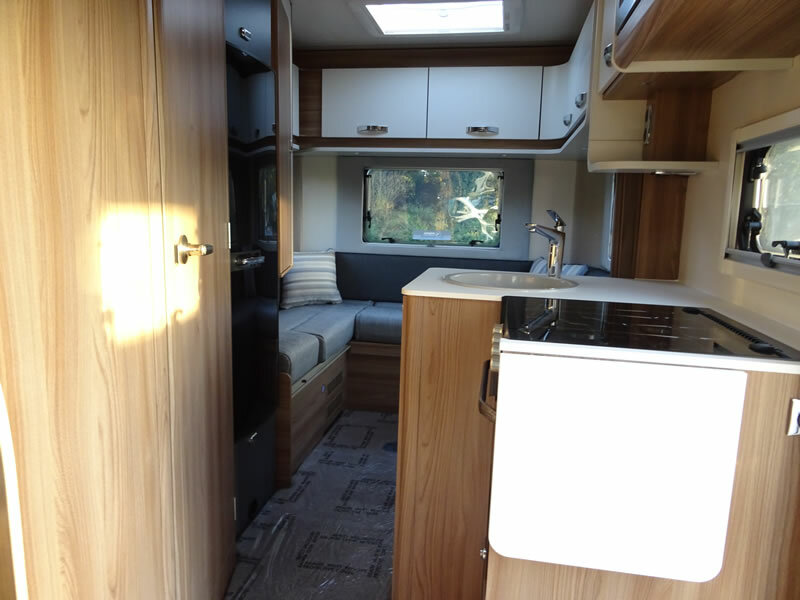 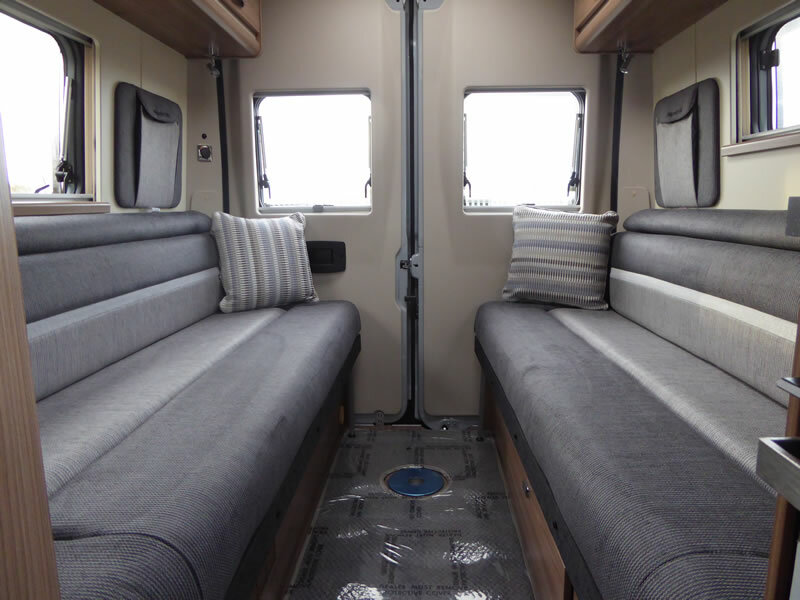 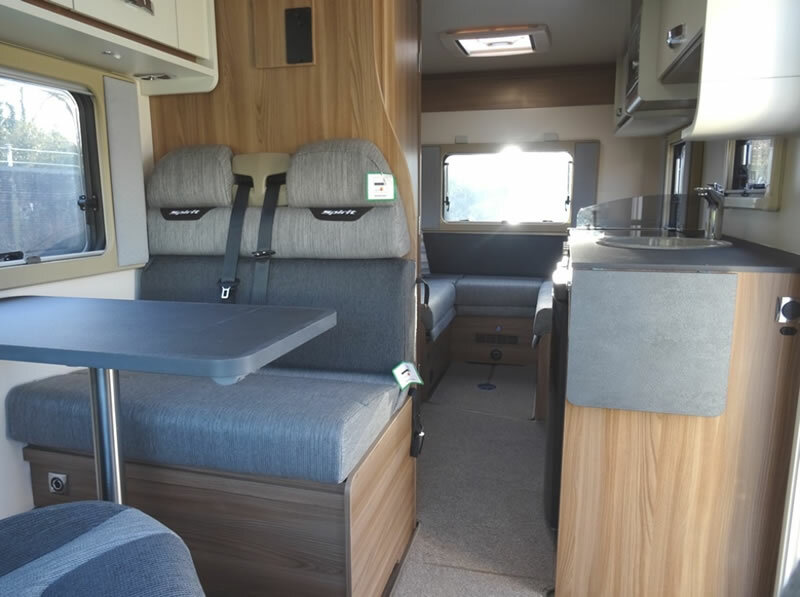 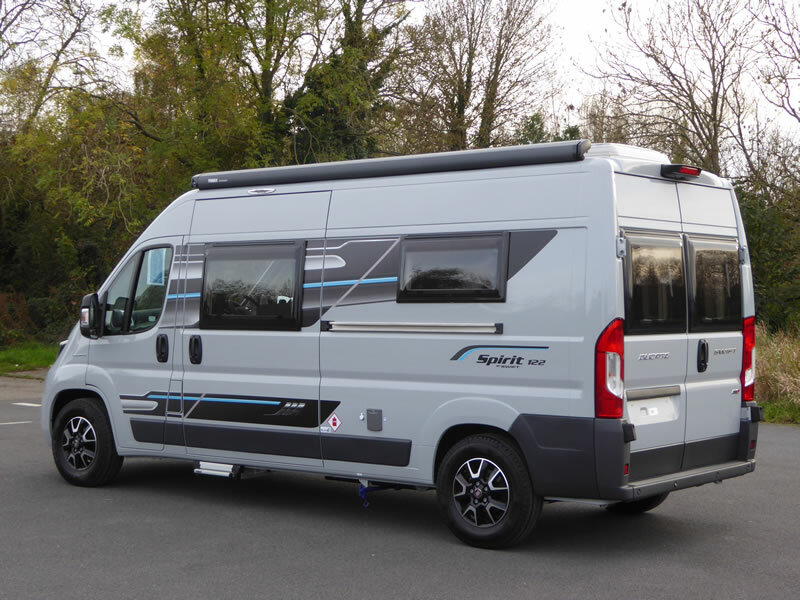 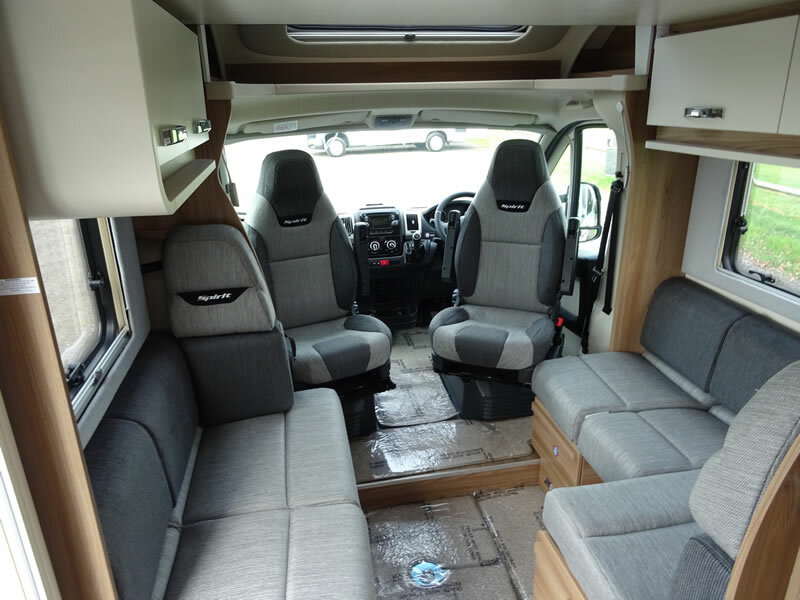 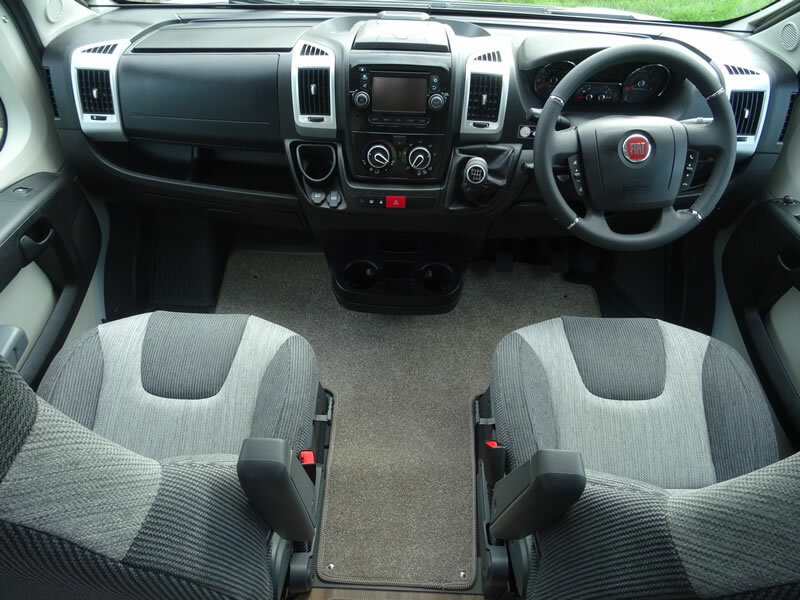 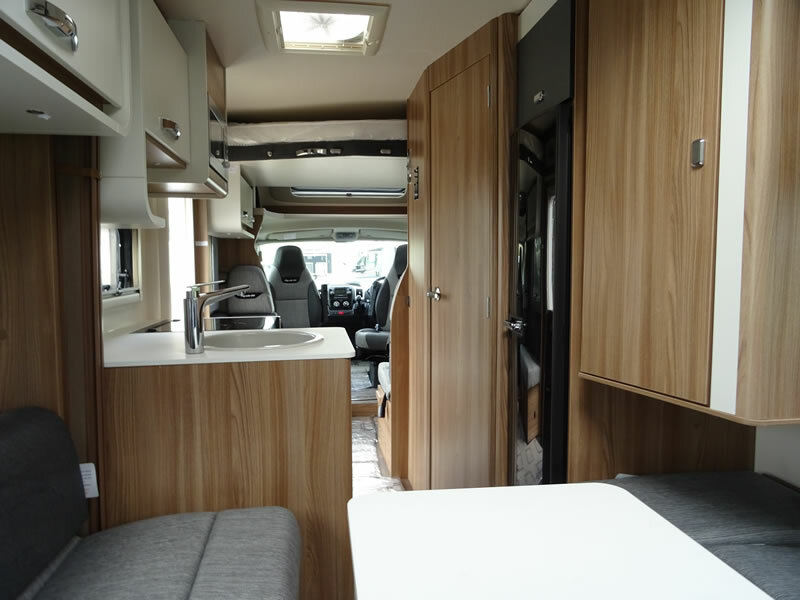 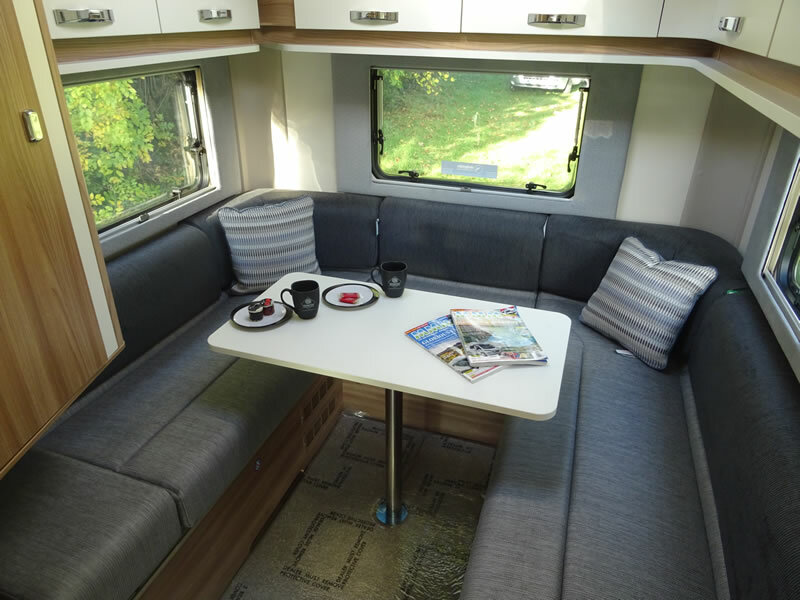 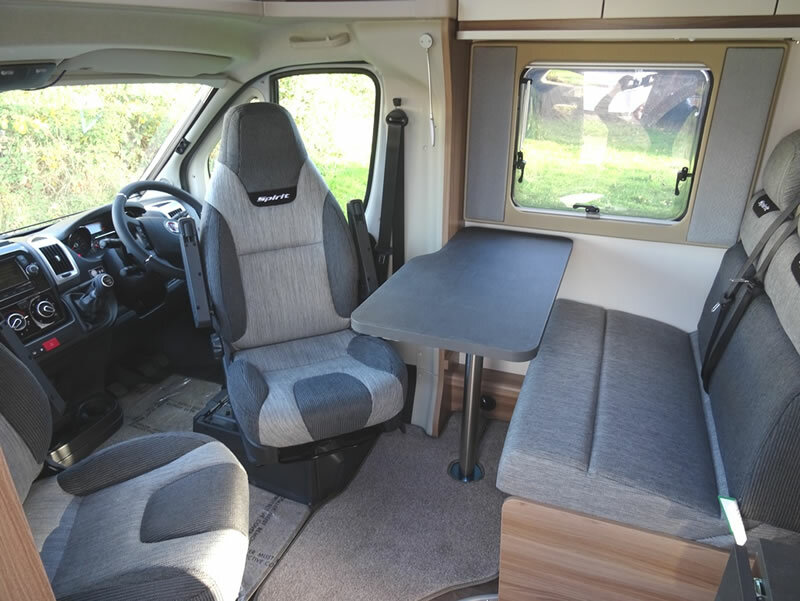 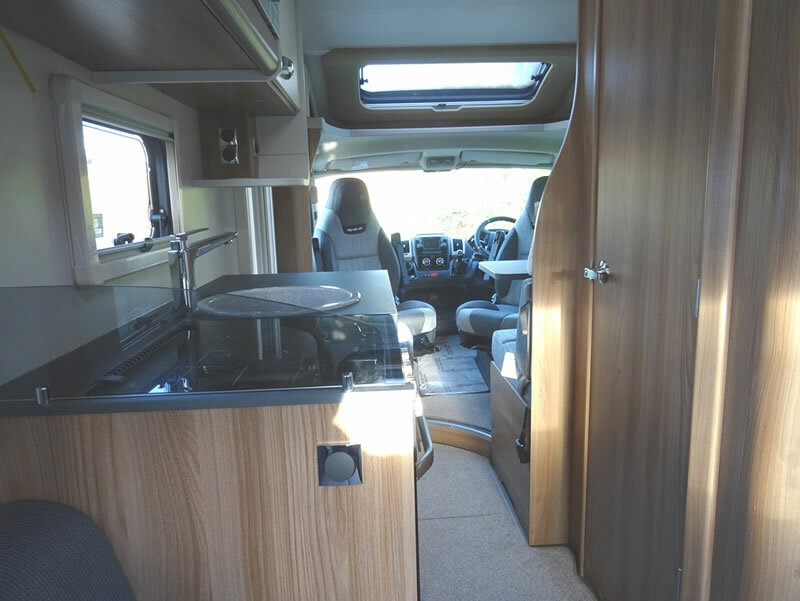 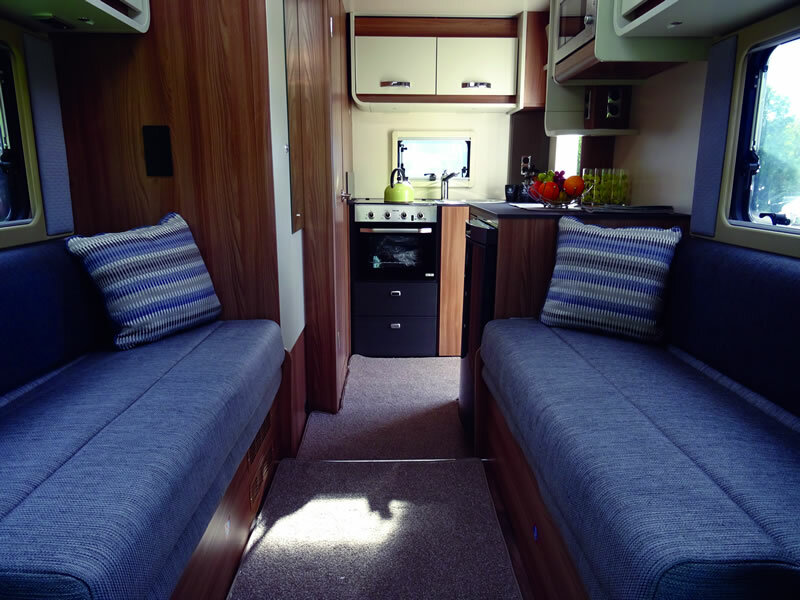 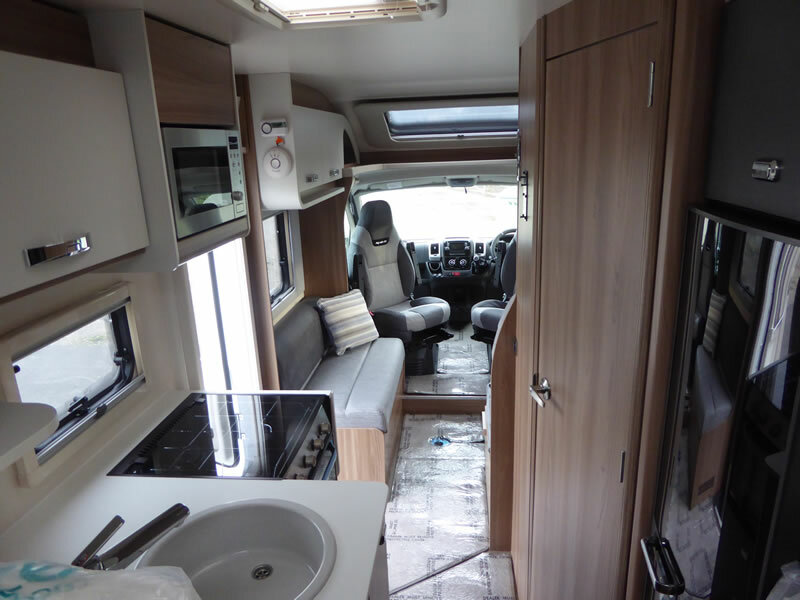 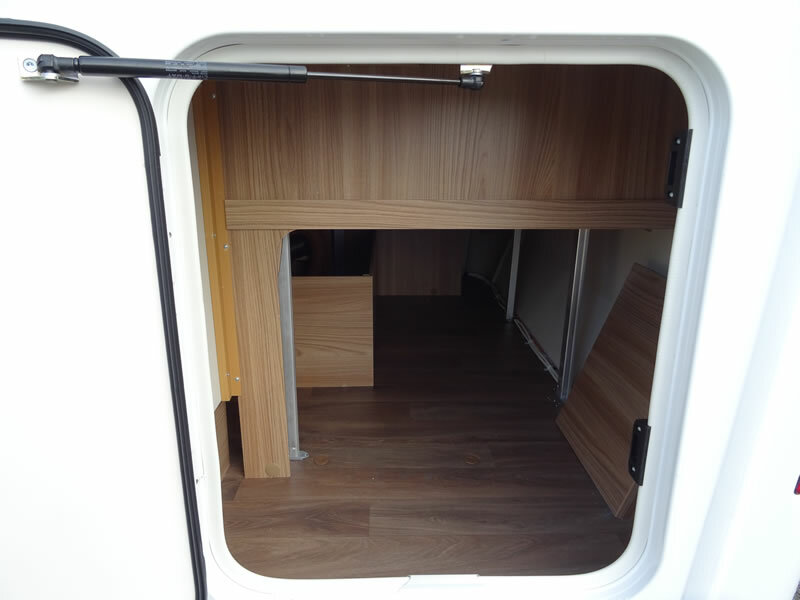 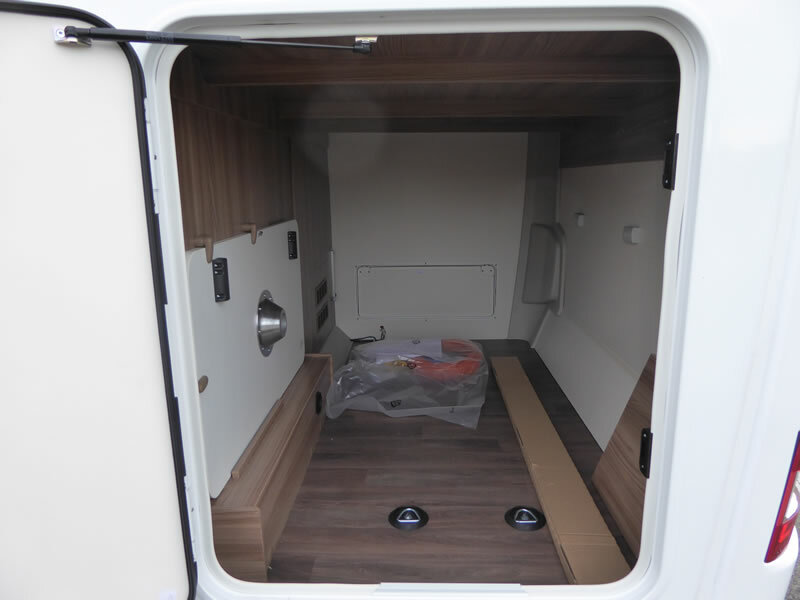 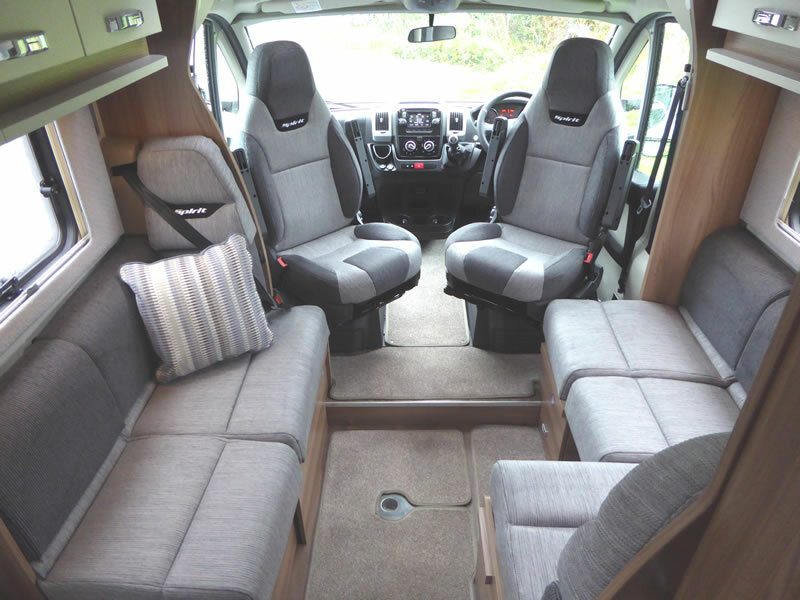 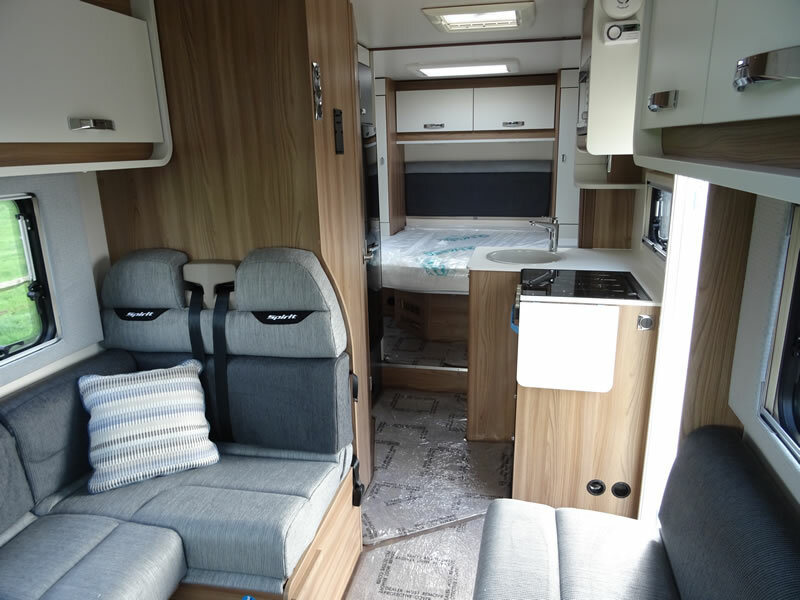 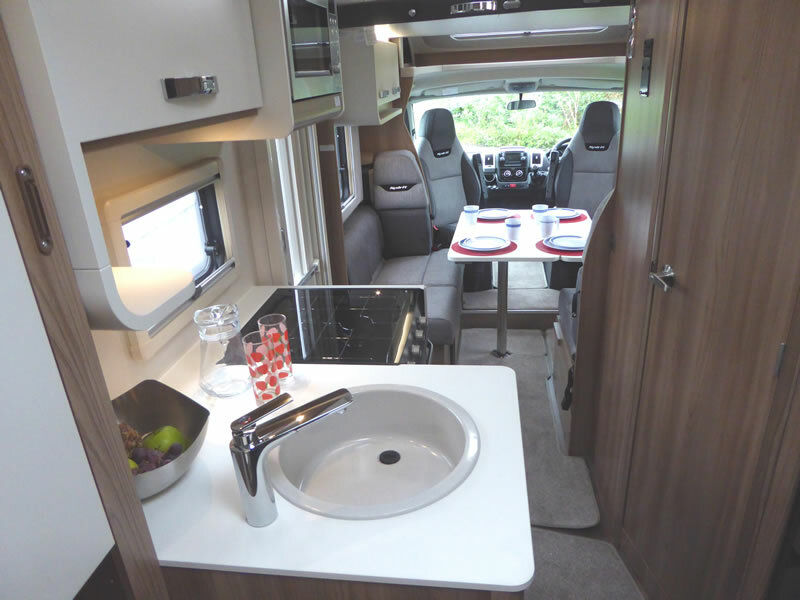 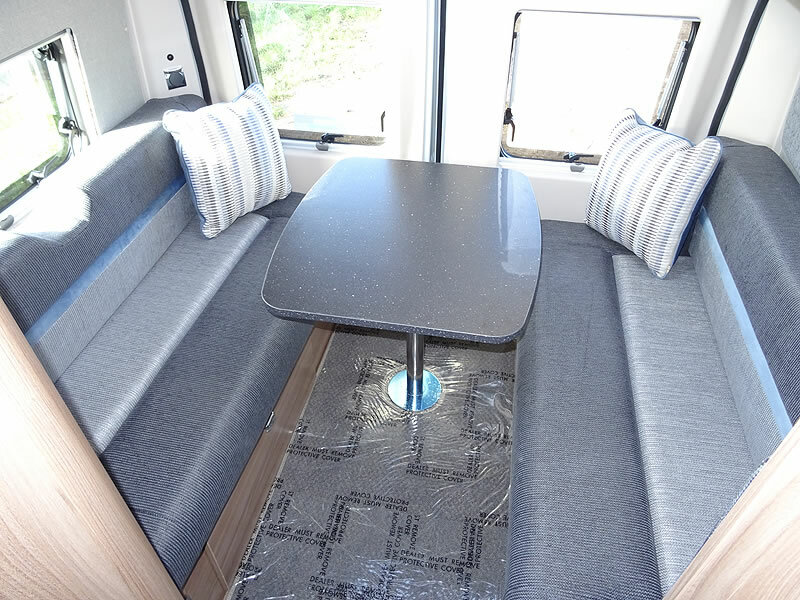 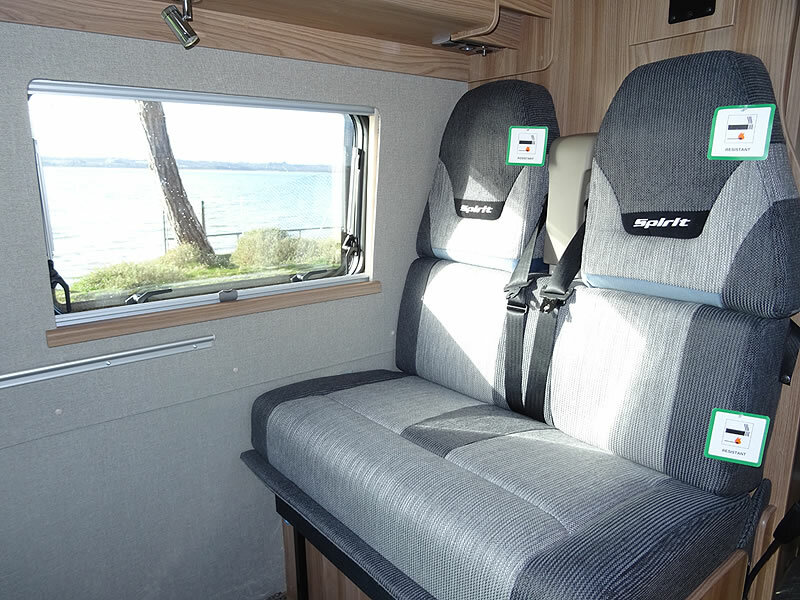 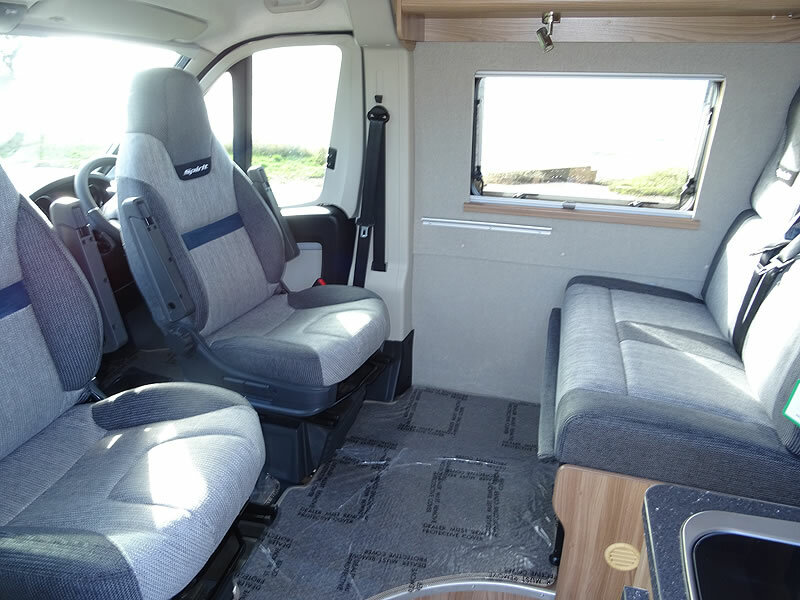 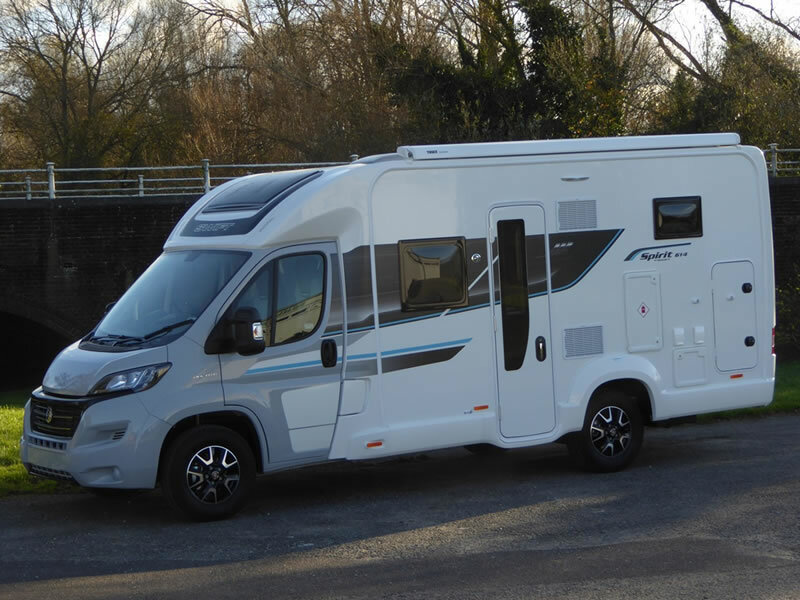 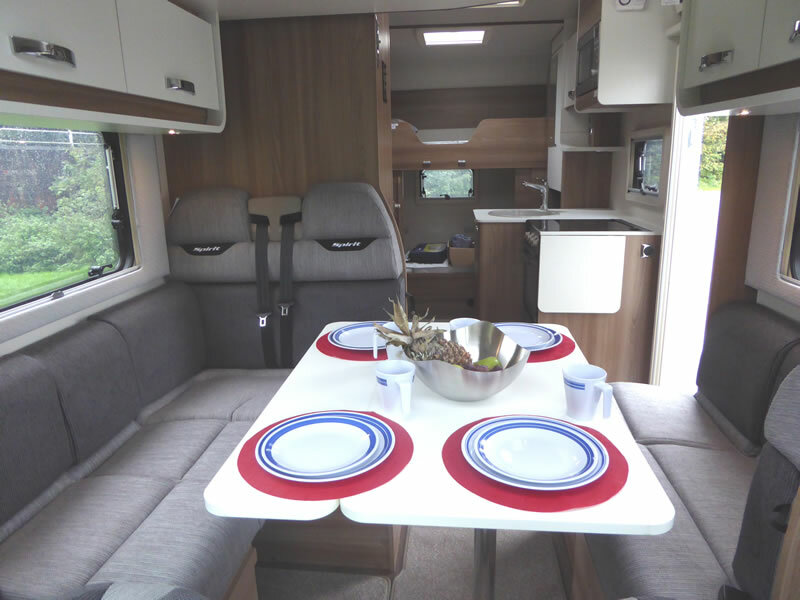 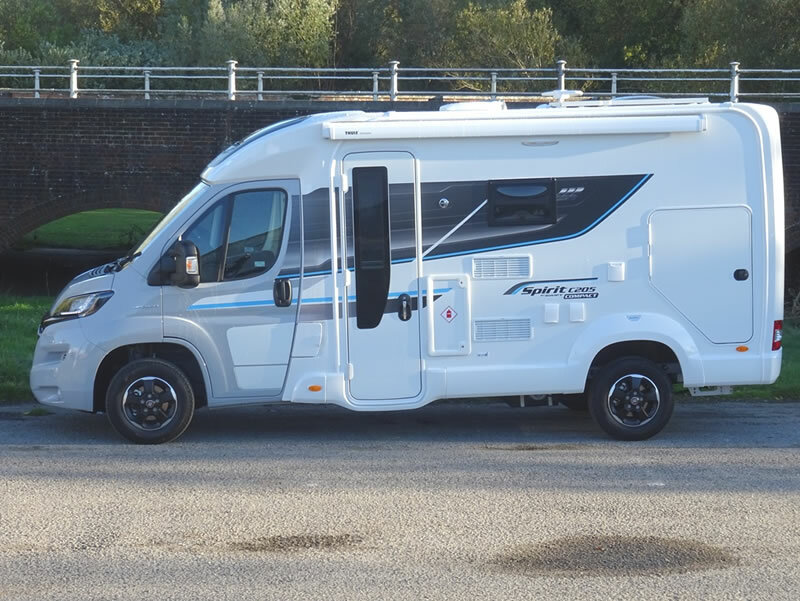 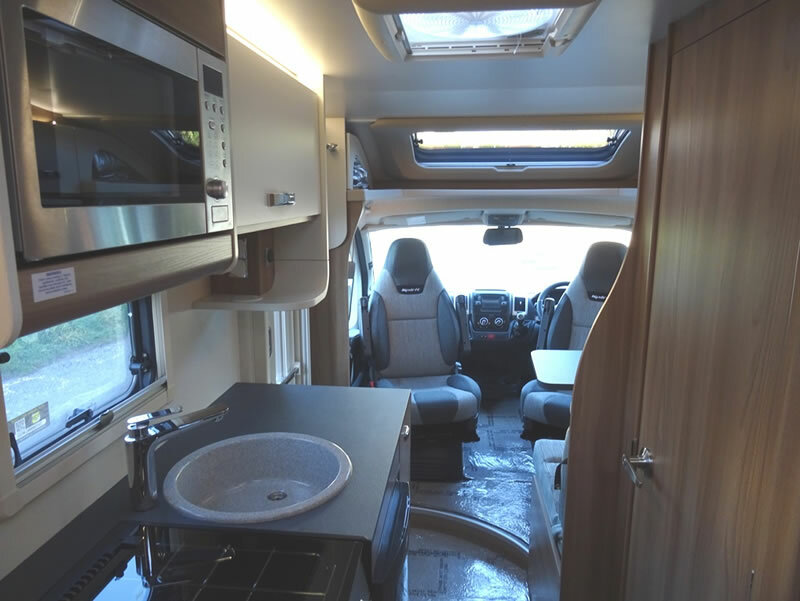 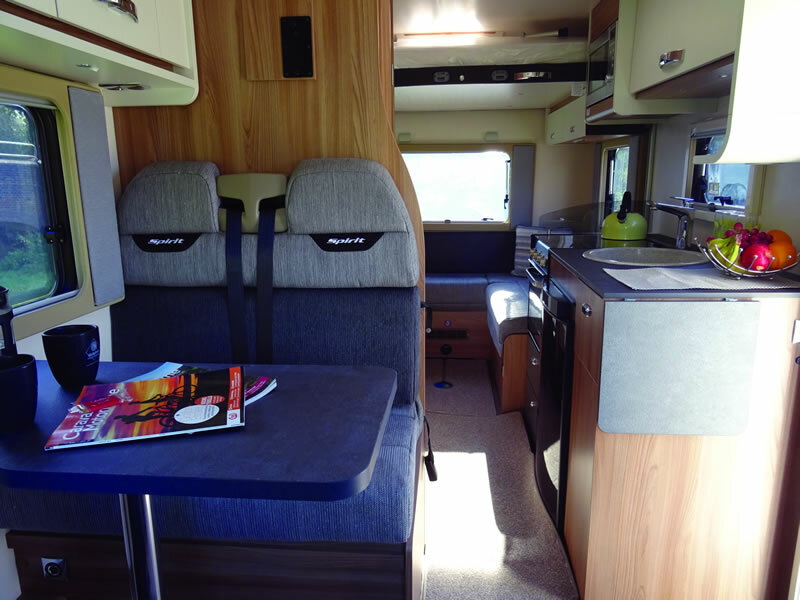 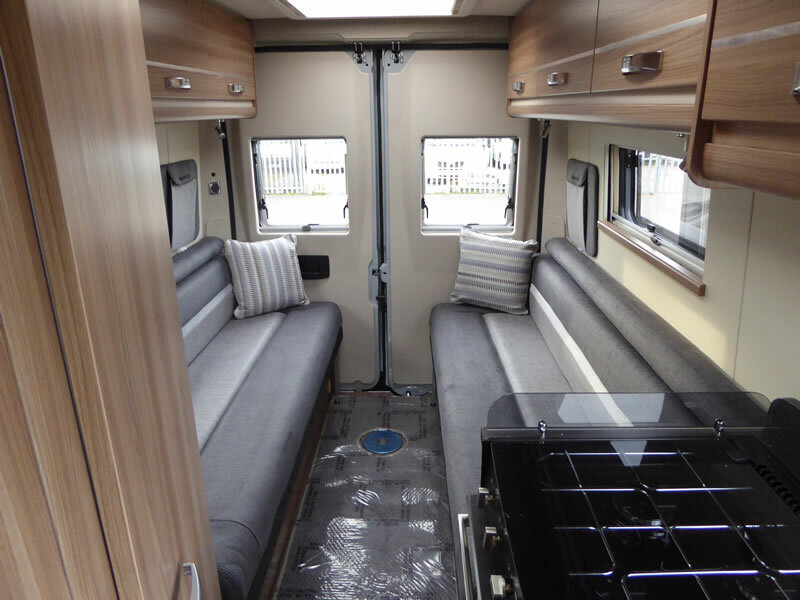 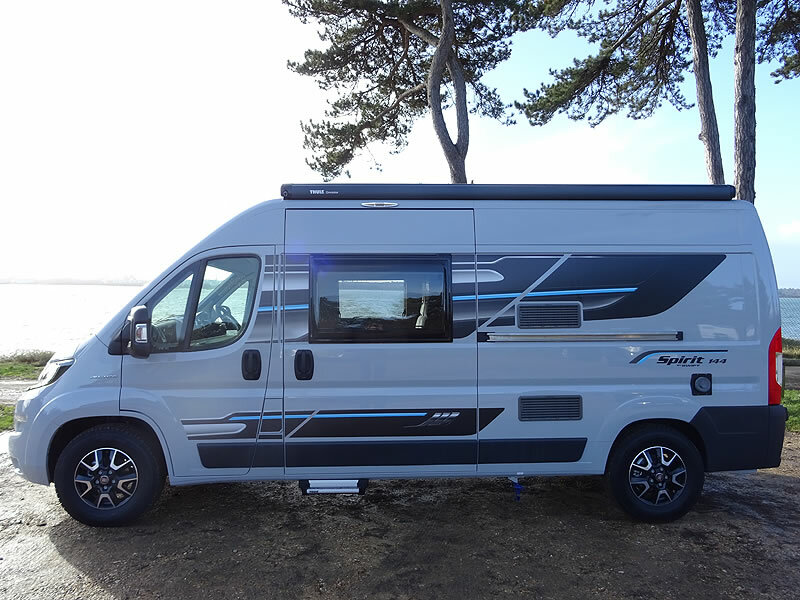 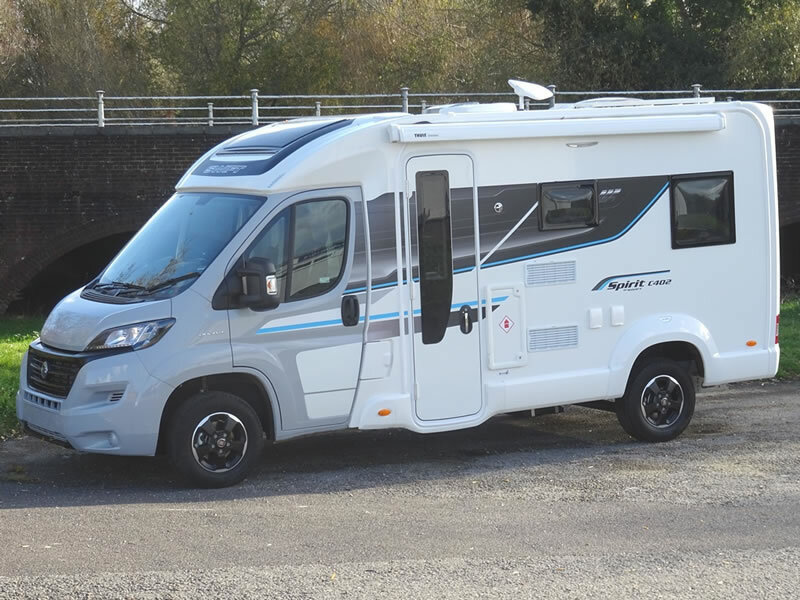 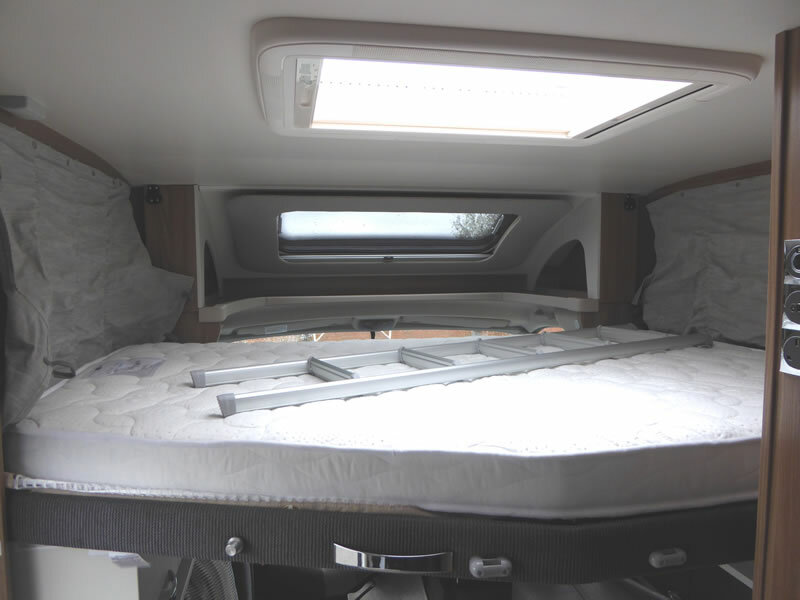 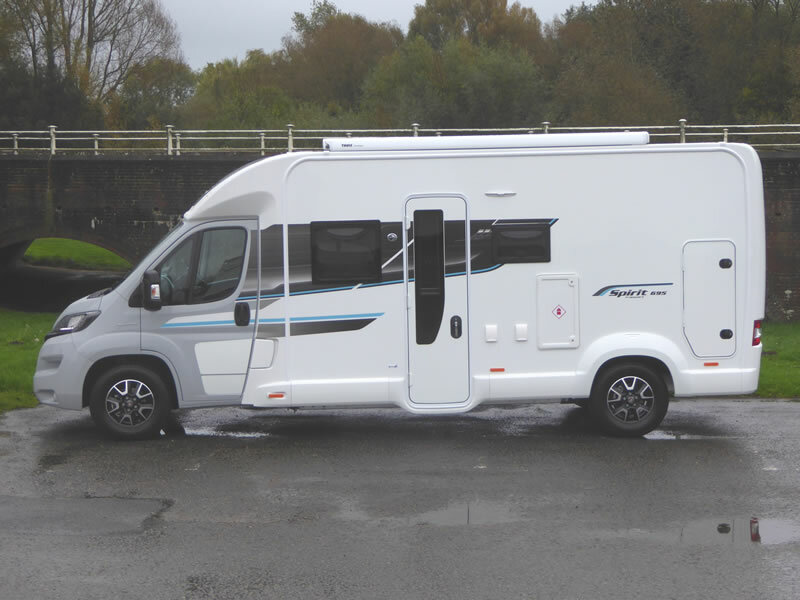 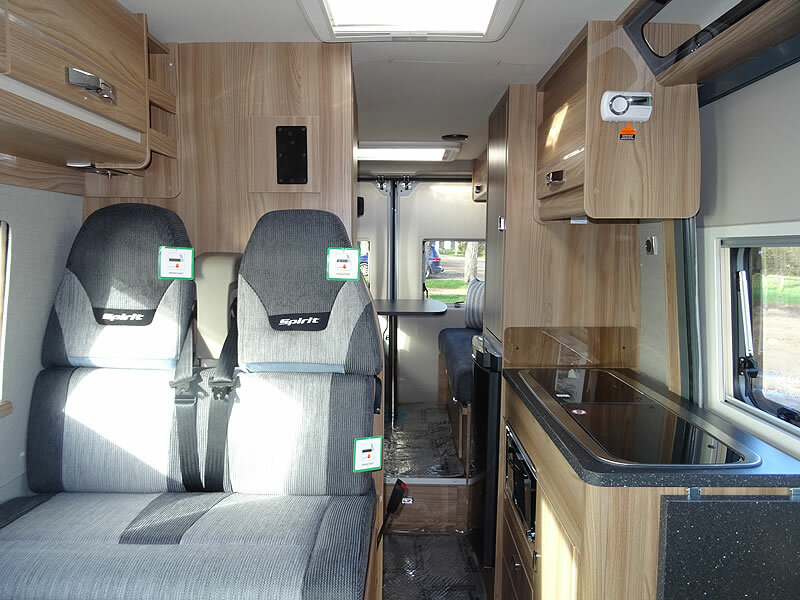 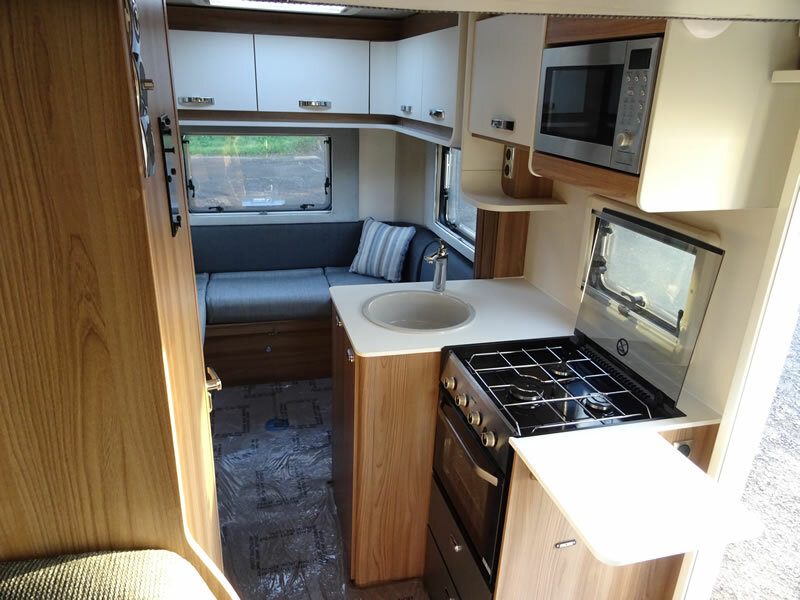 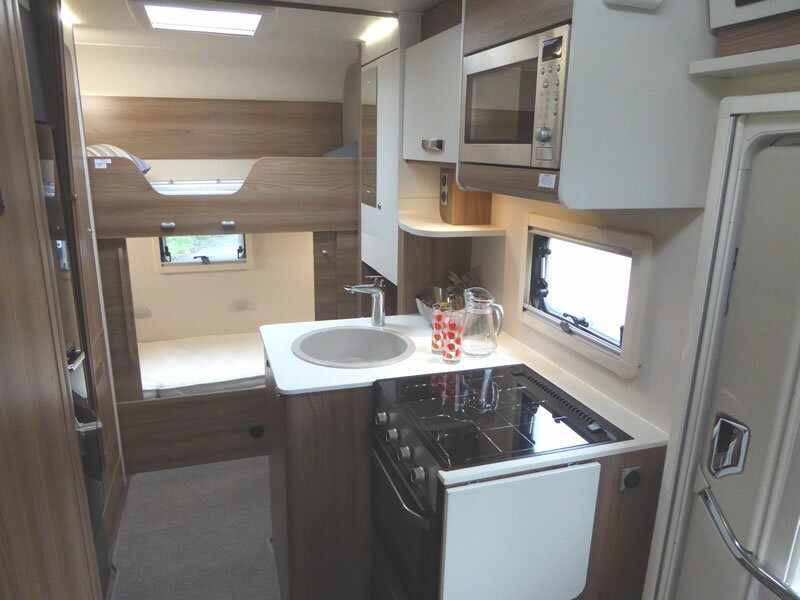 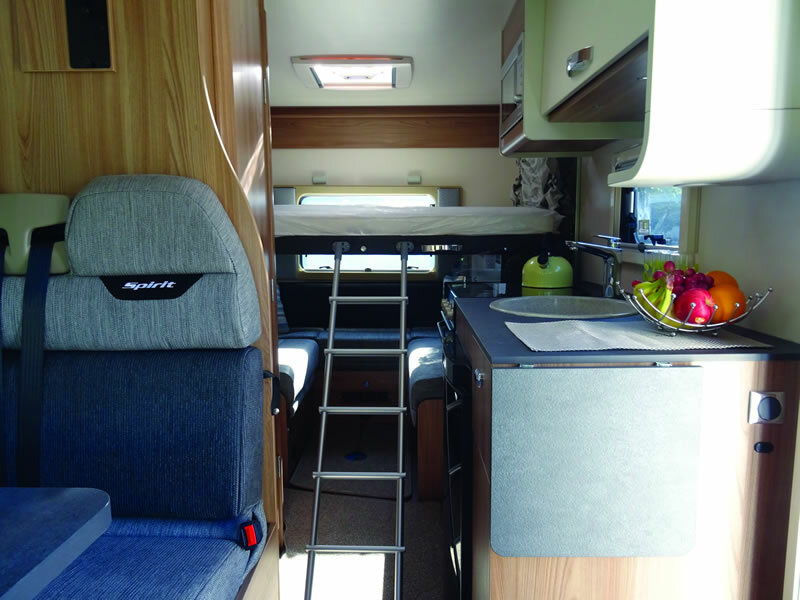 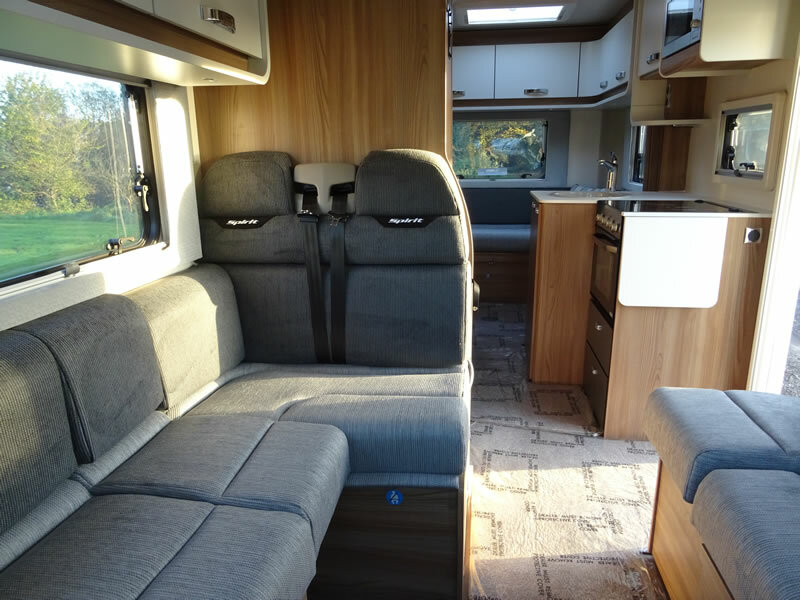 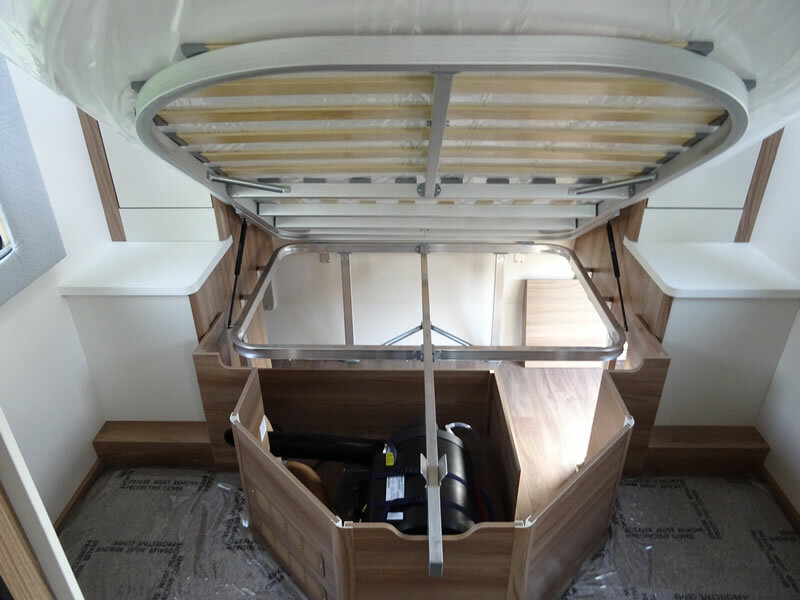 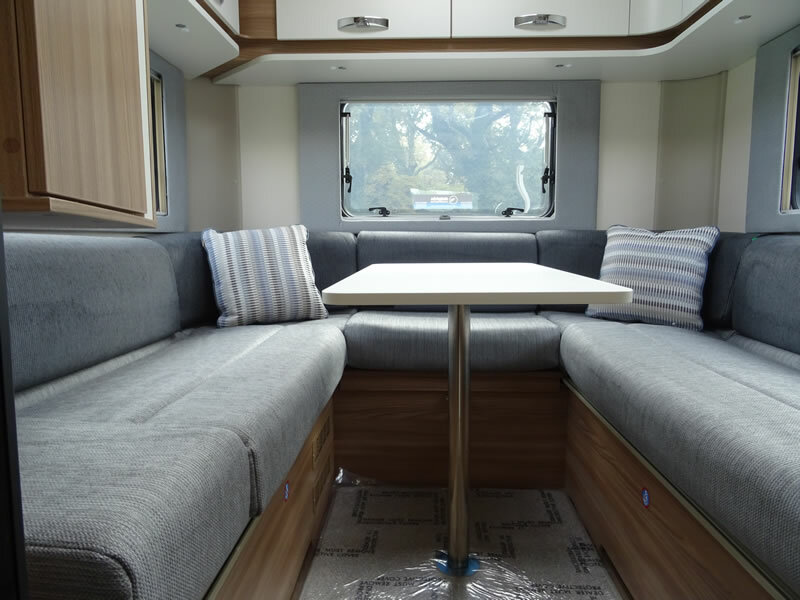 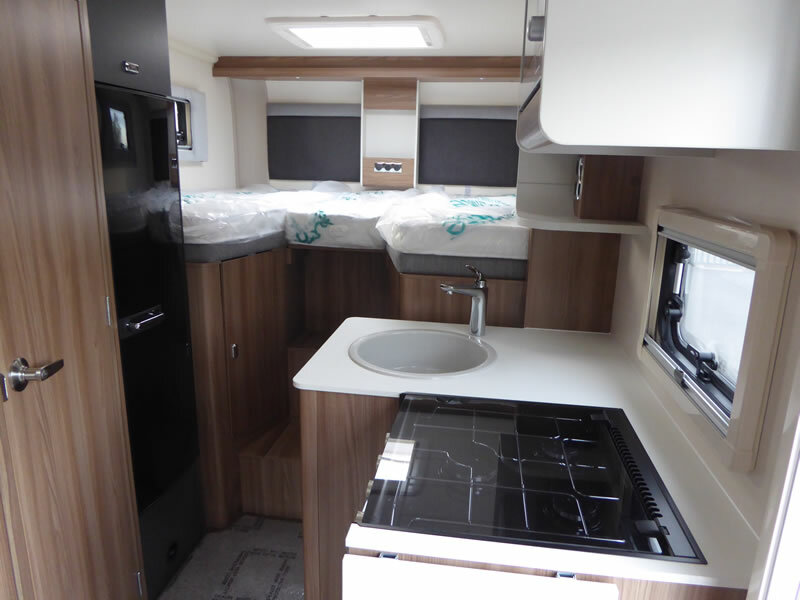 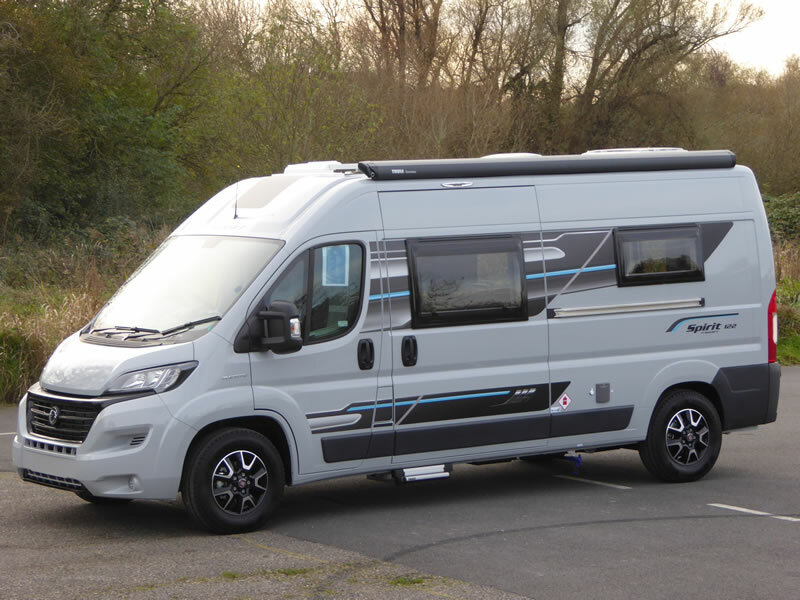 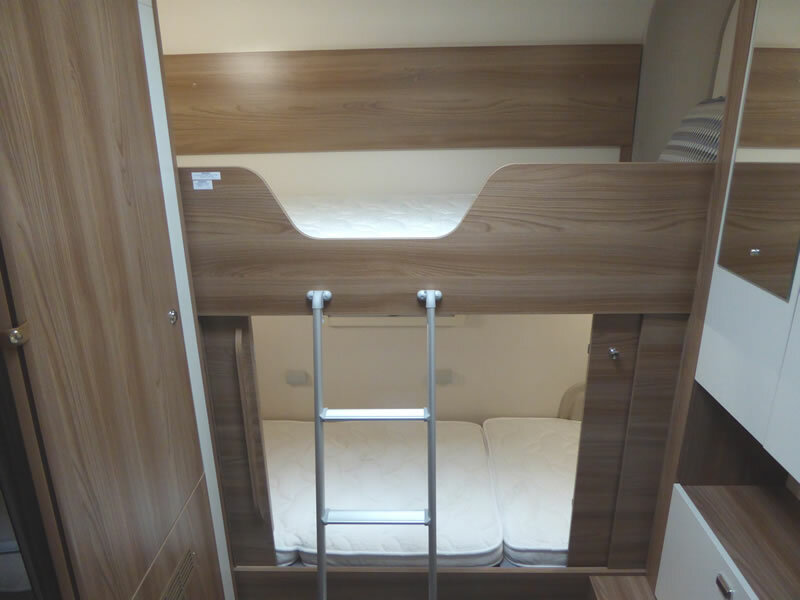 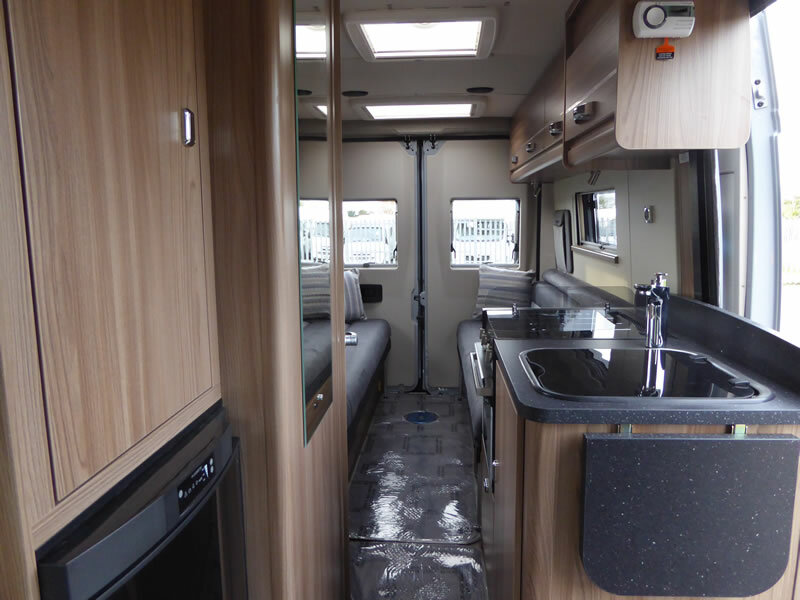 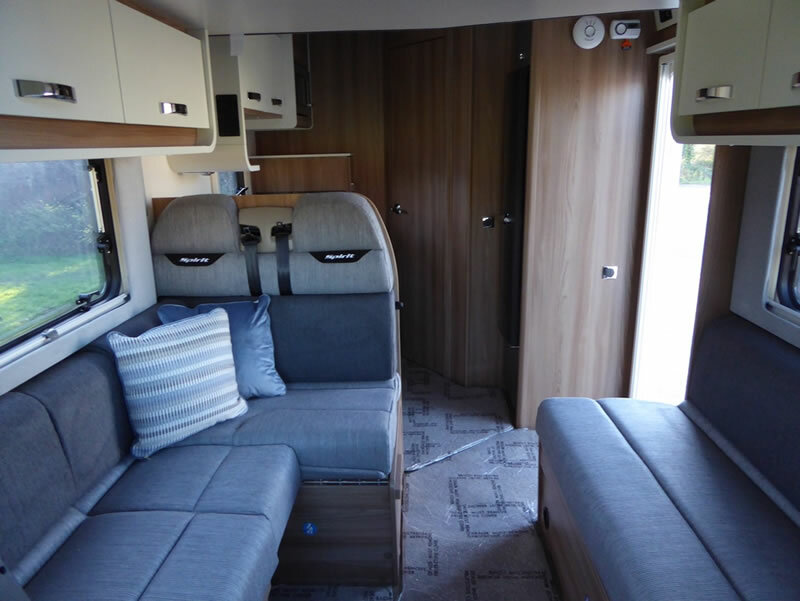 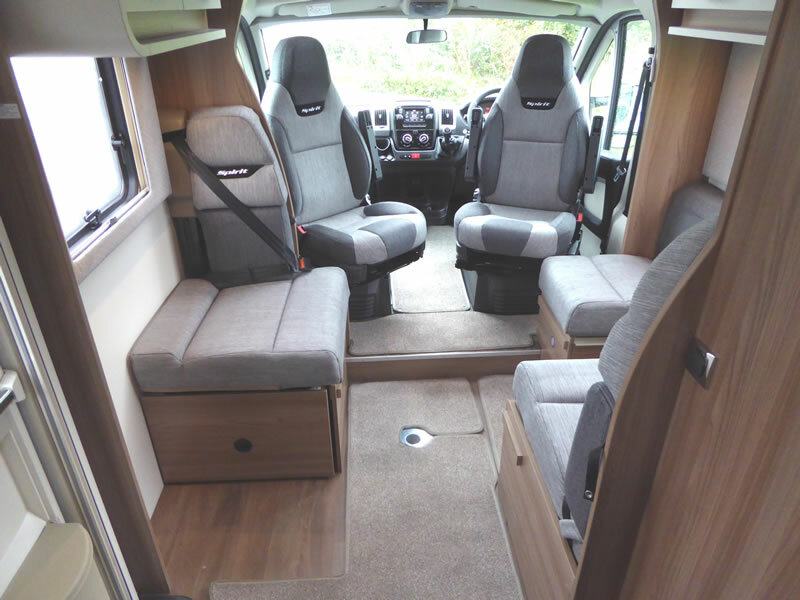 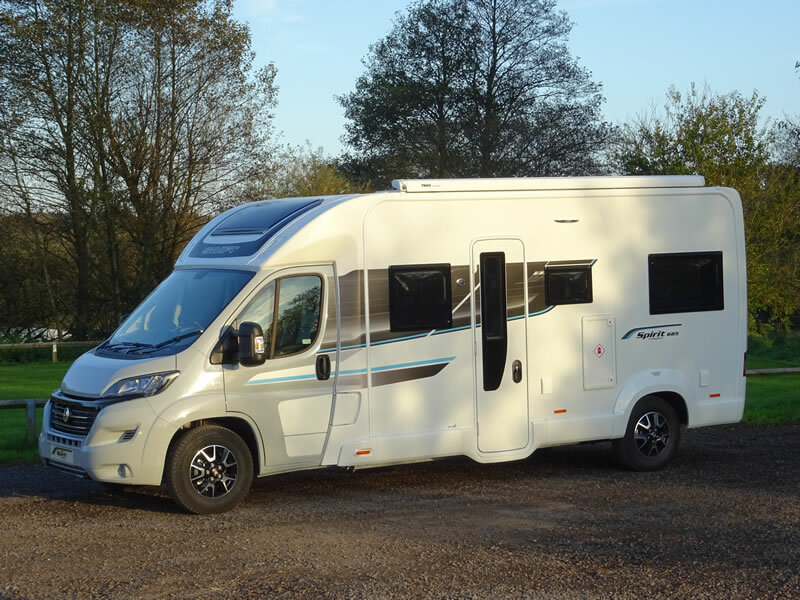 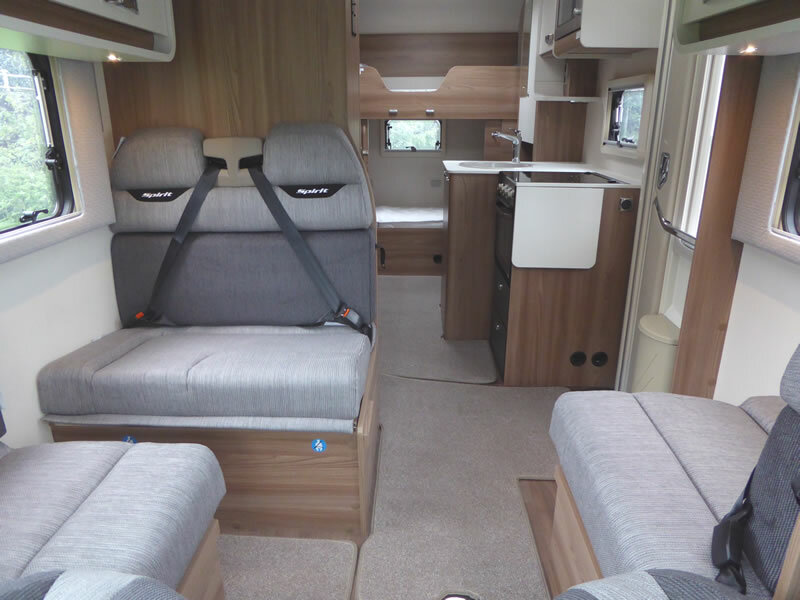 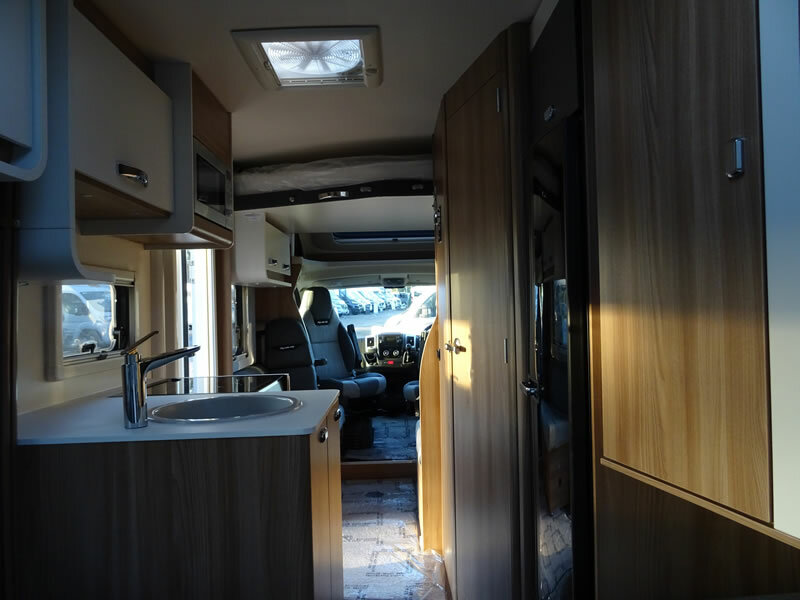 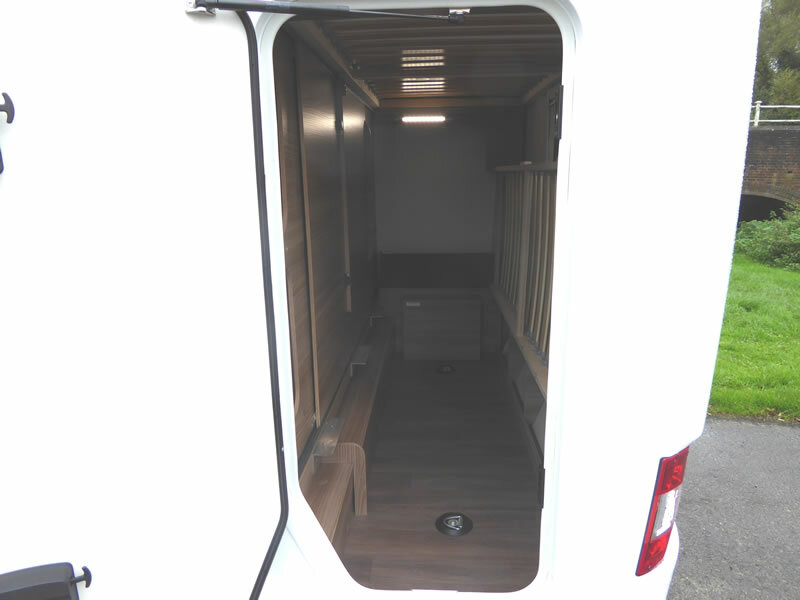 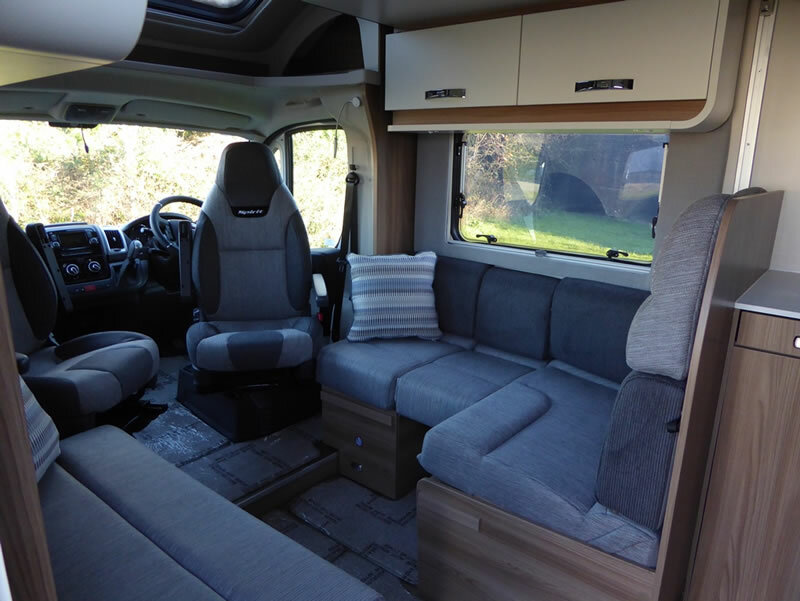 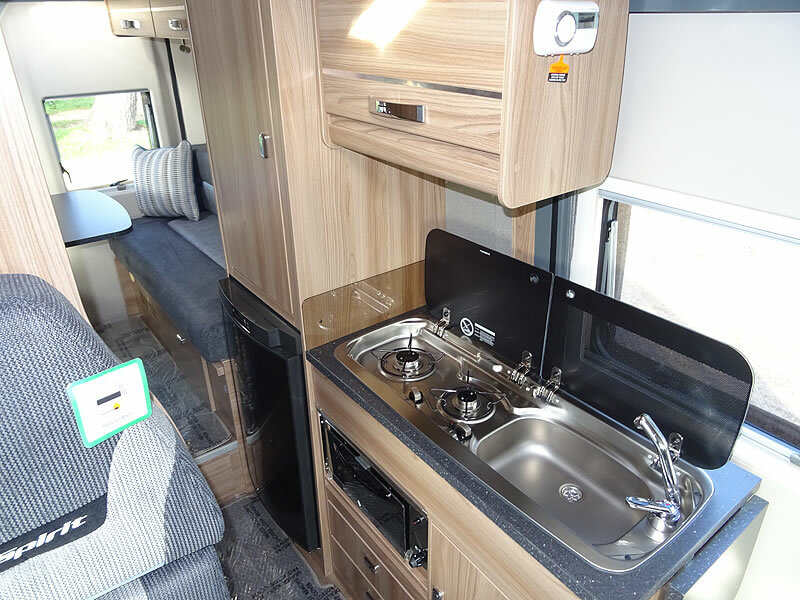 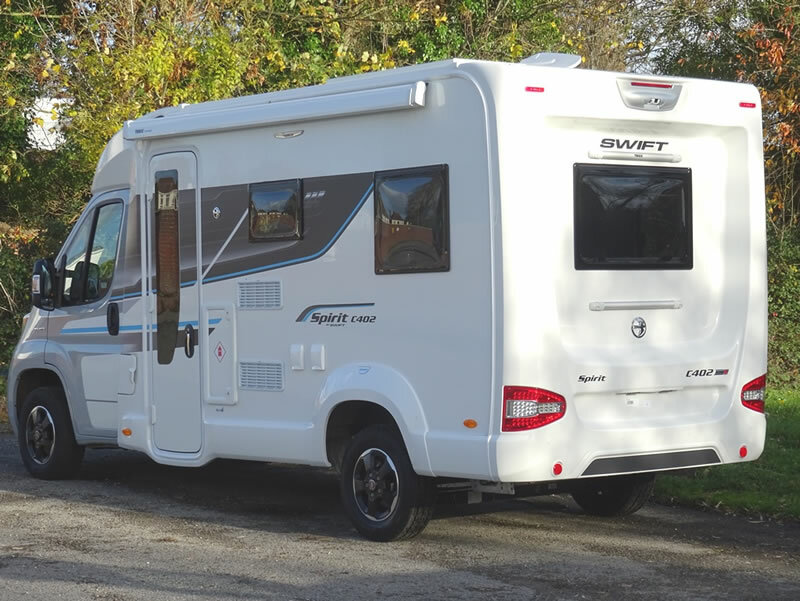 The Spirit Van Conversion has four different layouts and boasts a fantastic level of specification and enhancements which are all included in the 'Spirit Pack'. 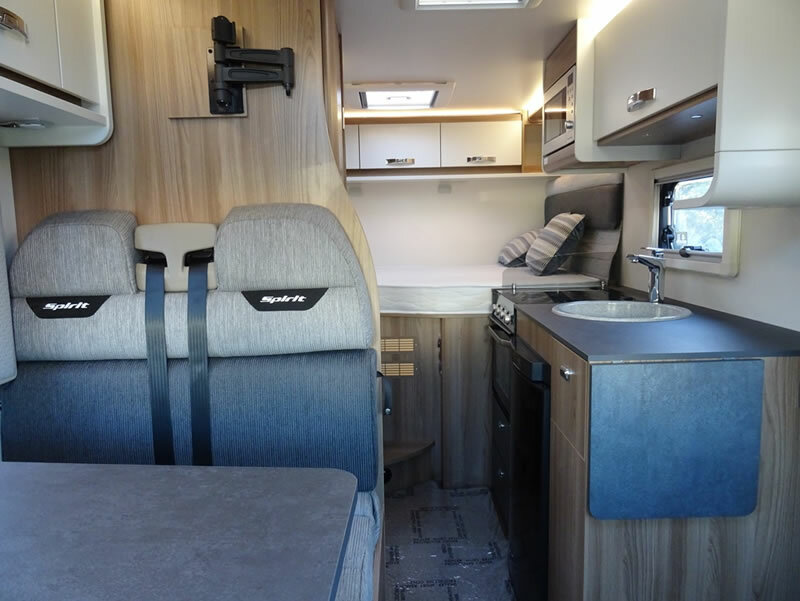 The Tech Flat Grey external colour of the Swift Spirit is exclusive to the Spirit range and cannot be purchased anywhere else. 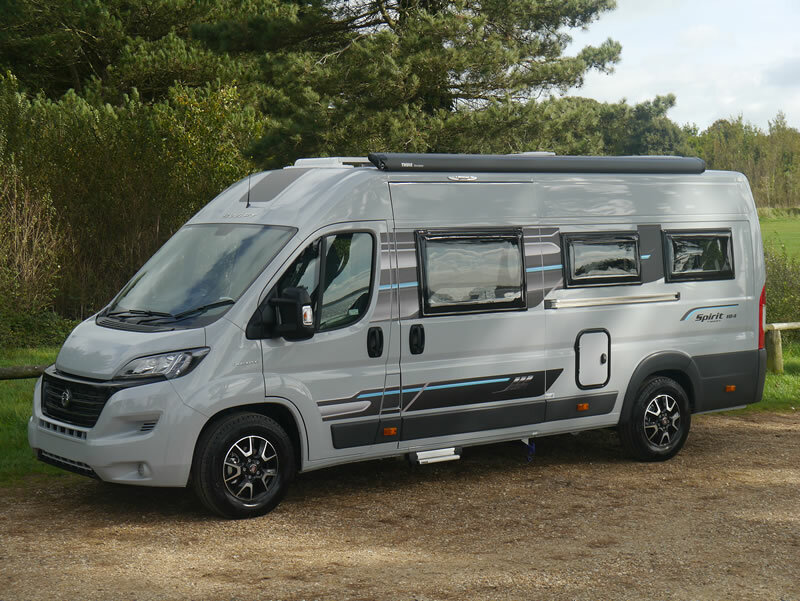 Please refer to the latest brochure and price list for more information or feel free to call us on 02380 406777 (Hants) or 01202 479444 (Dorset). 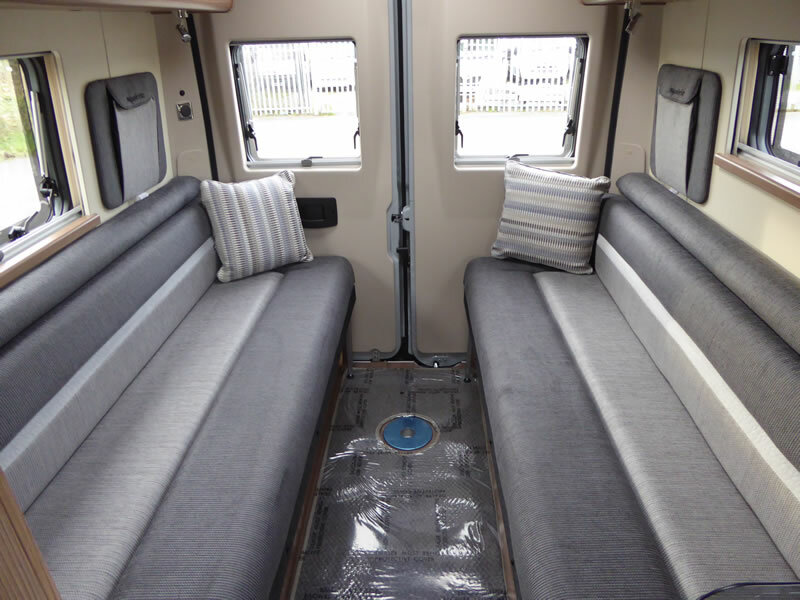 * If 674, 684 or 694 ordered with 5th Seatbelt/Drop Down Bed Option (cannot have automatic unless ordered with 3700kgs chassis).